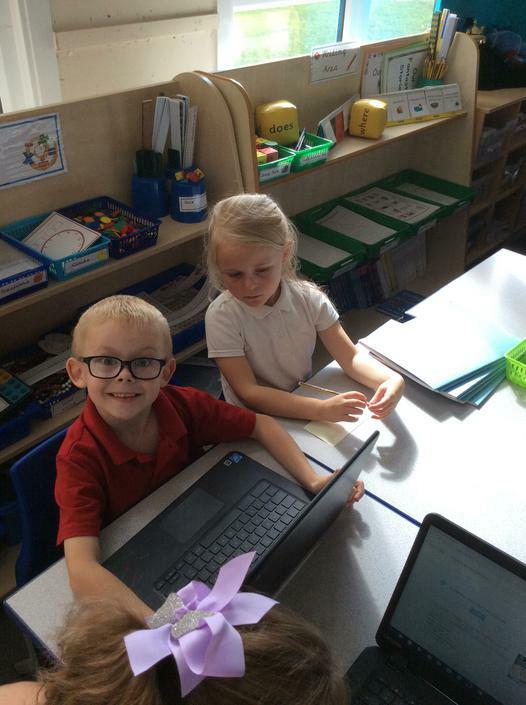 Welcome to 2JR's Class page. 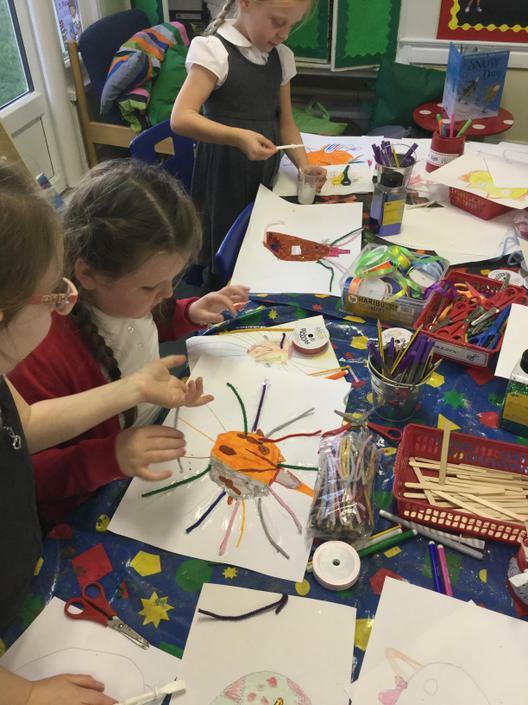 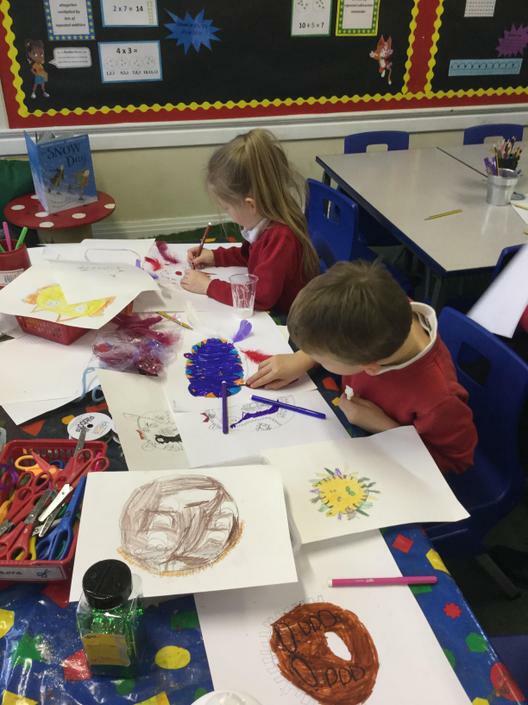 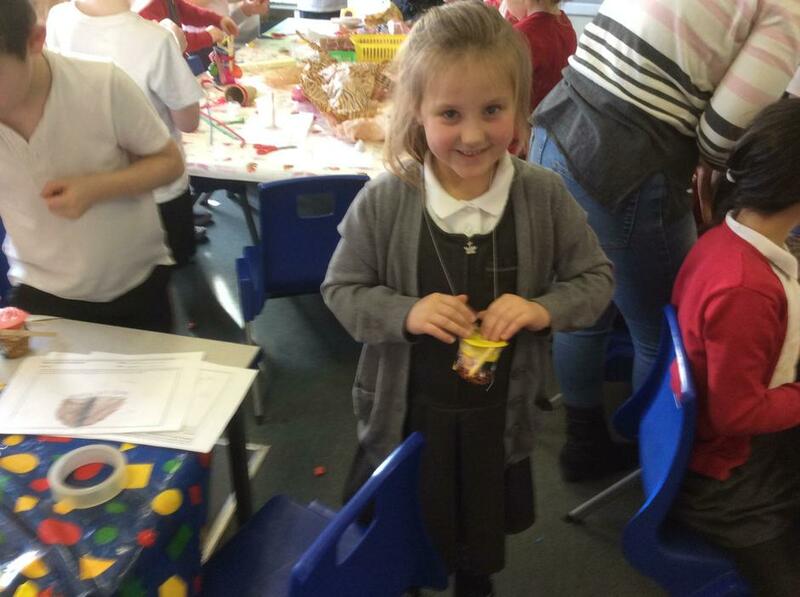 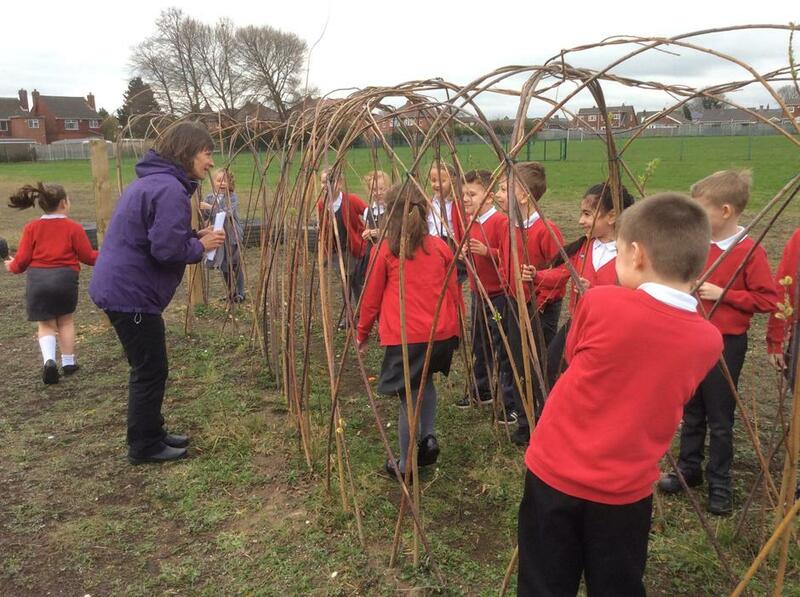 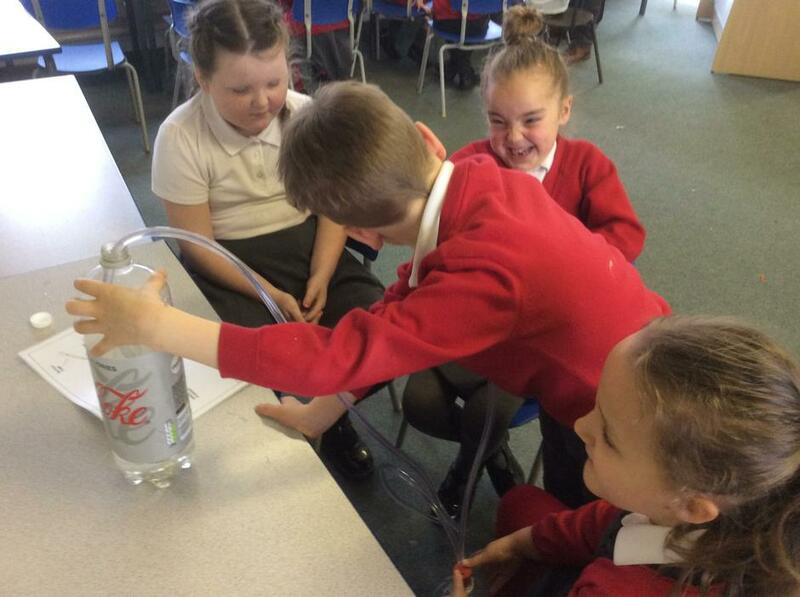 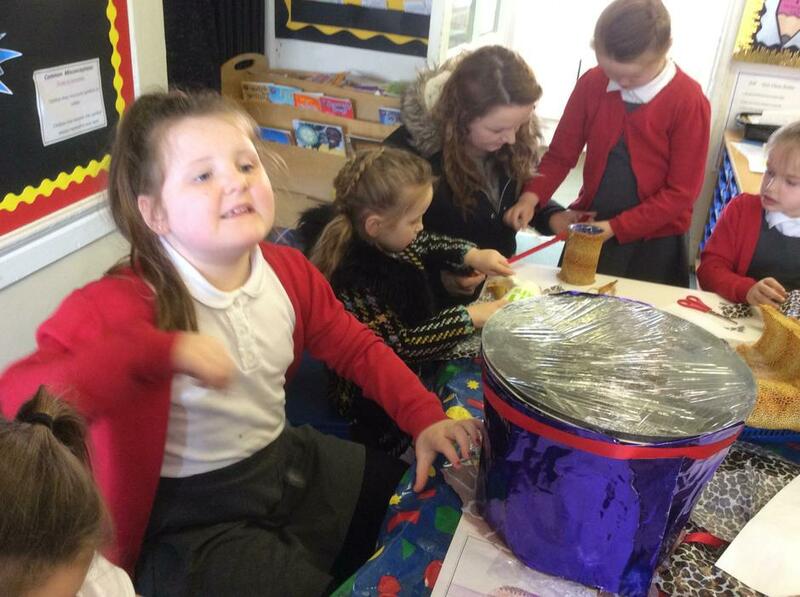 Please follow us on Twitter as we post lots of pictures of what your children have been doing. 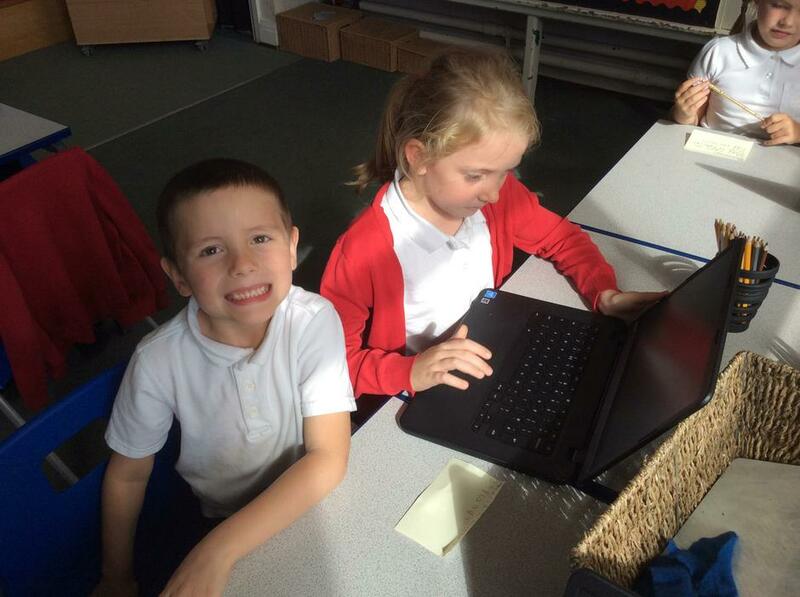 Follow '@tis-carrigan' and '@TIS-Carr' for 2JR or '@TownvilleIS' for whole school information. 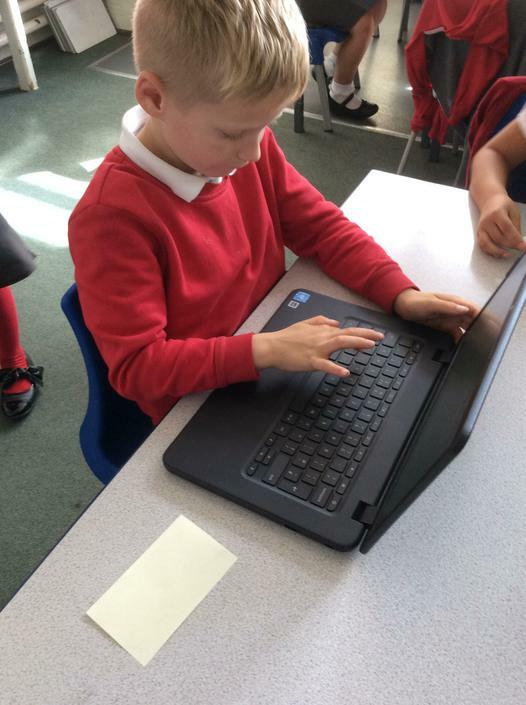 If you haven't yet signed up to our 'Marvellous Me ' app, please do as this is a really quick, simple way of receiving information from school . 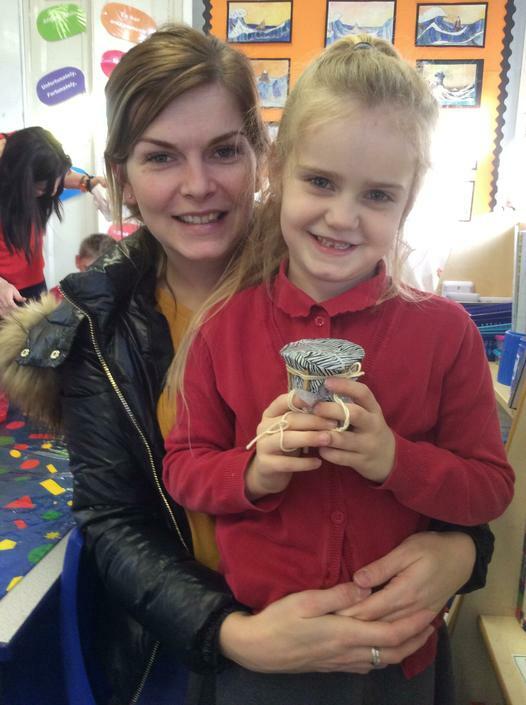 We also use it to communicate and celebrate your child's achievements. 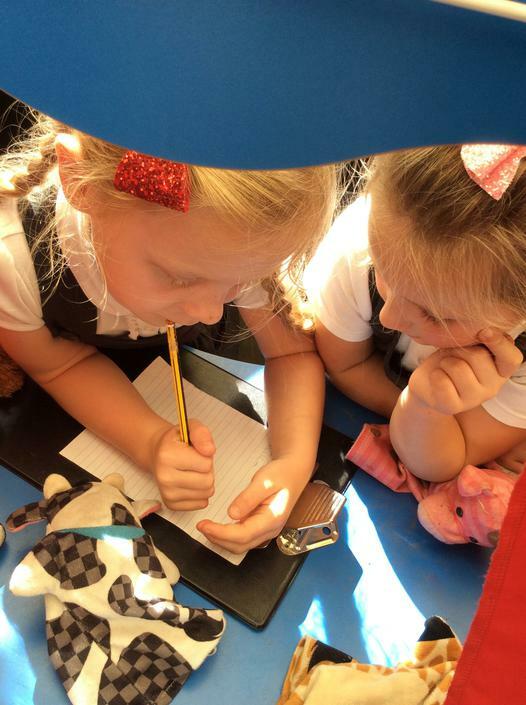 Ask in the school Office for a sign up information letter. 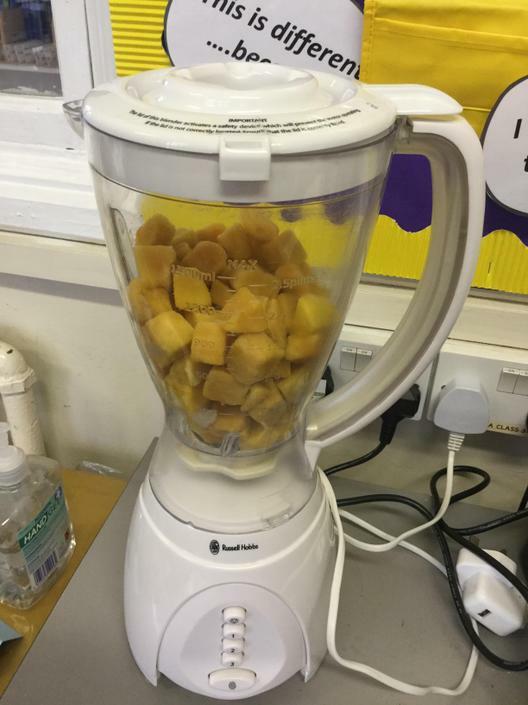 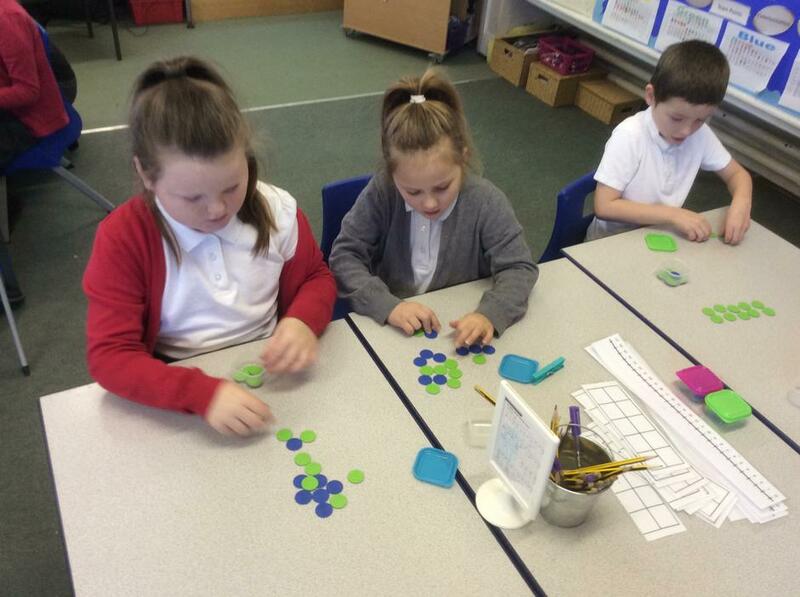 The children love using real objects in maths and there's no better time to use real objects to help explore our learning than in our new unit..... FRACTIONS! 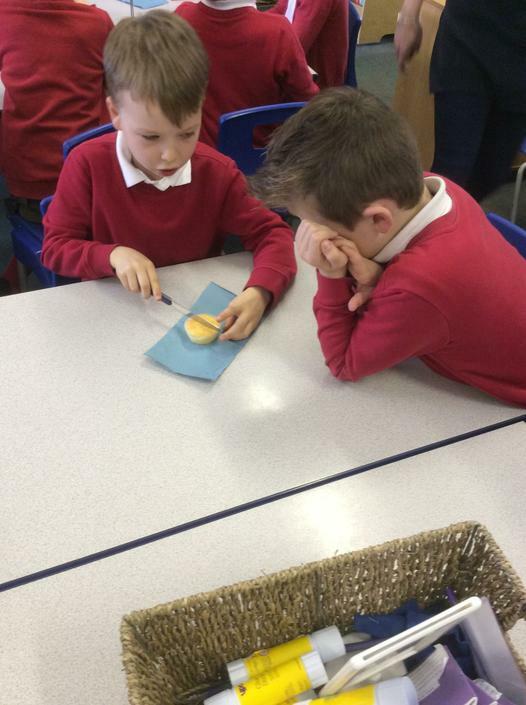 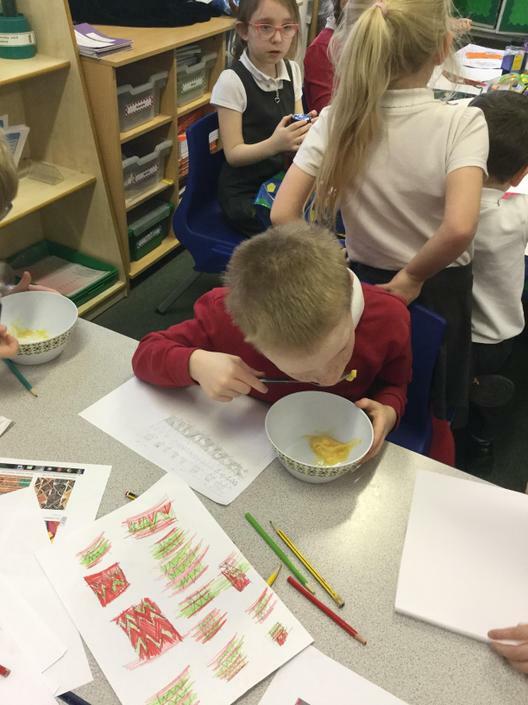 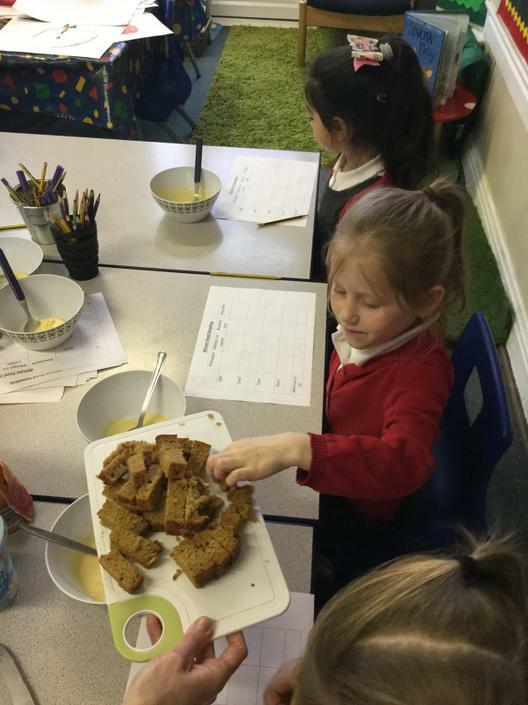 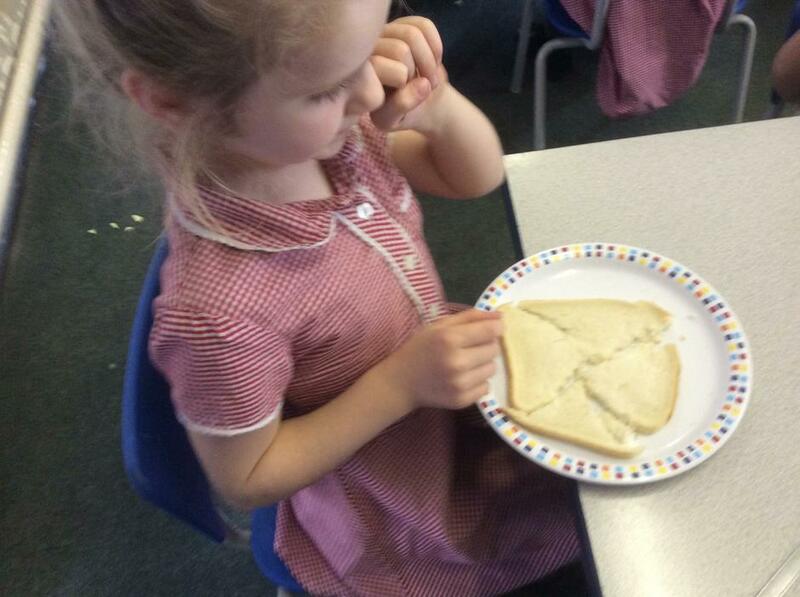 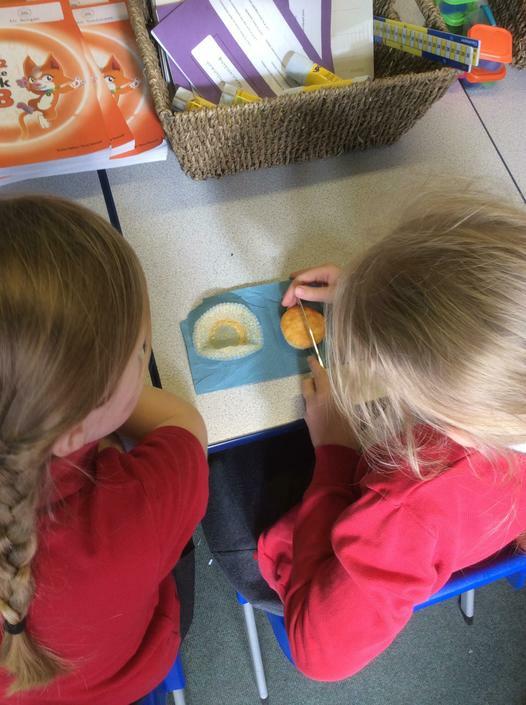 The children used cakes to explore how they were going to fairly share their cake with their friend and found that sharing the WHOLE into two EQUAL parts was the best way. 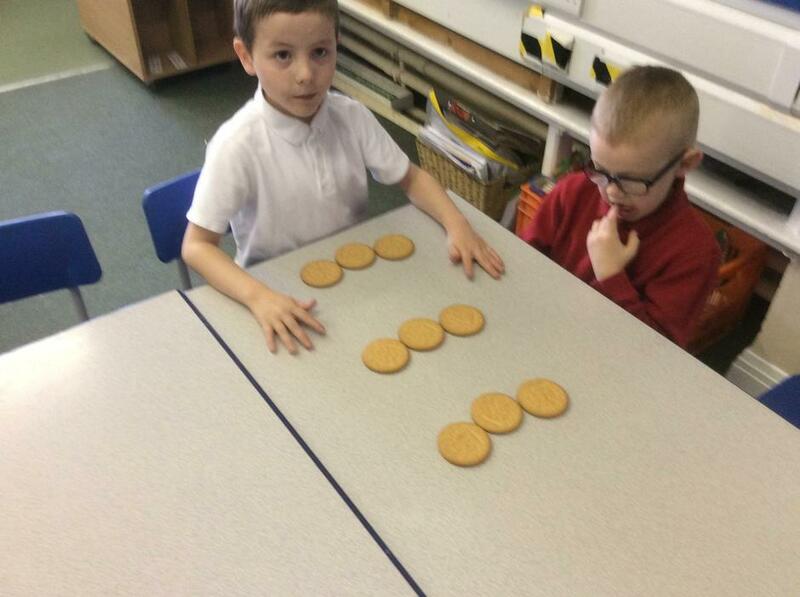 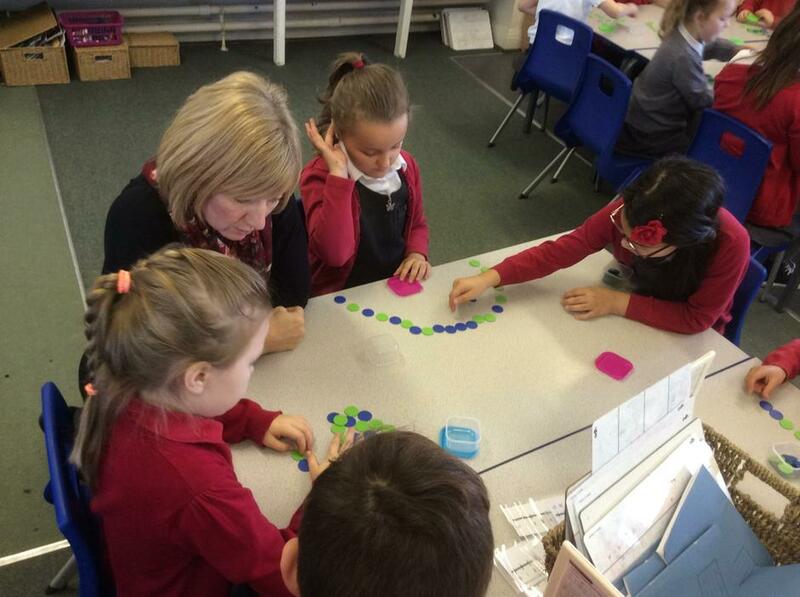 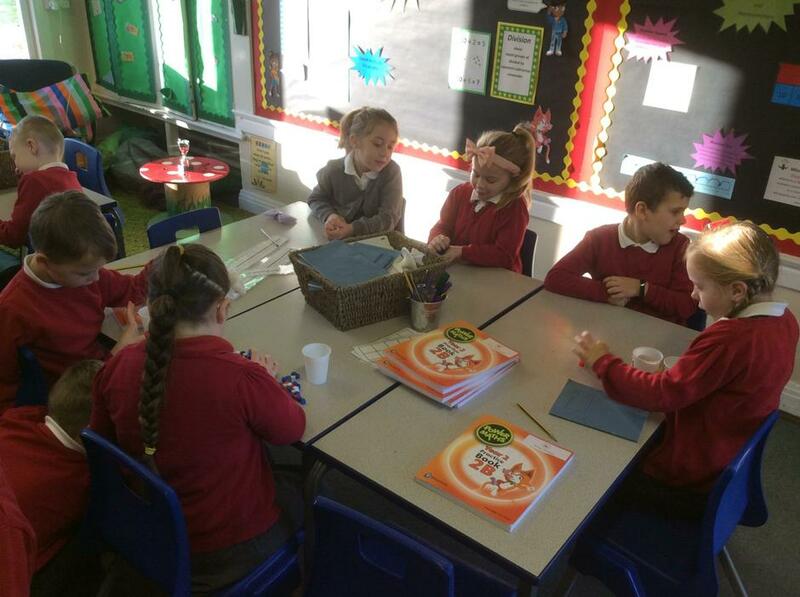 The children were able to explain their understanding to their partner that all parts have to be equal. 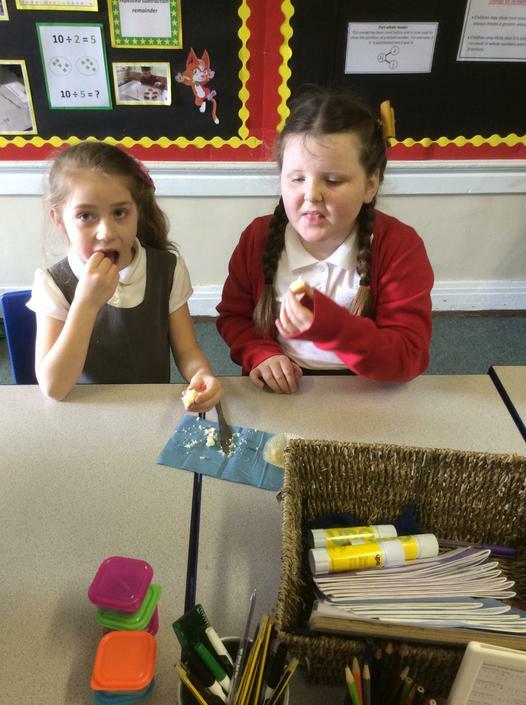 Oh and of course the children enjoyed eating the cake afterwards!! 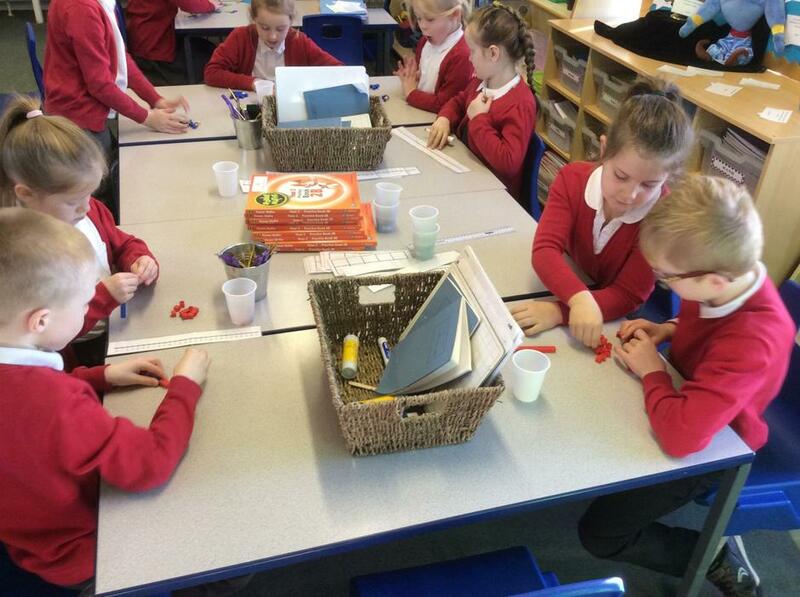 We can't wait to use more real objects when finding a 1/2 and 1/4. 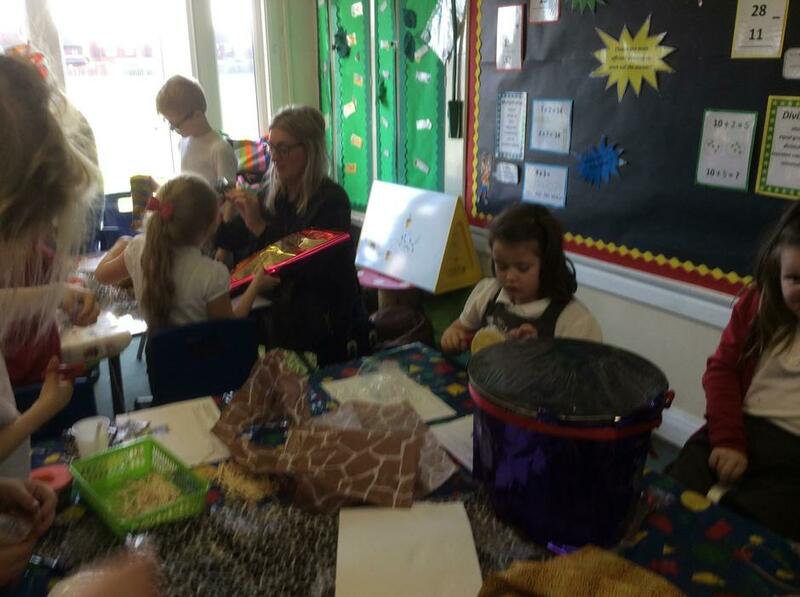 Well it was fabulous to see so many parents at our wonderful shared reading open morning. 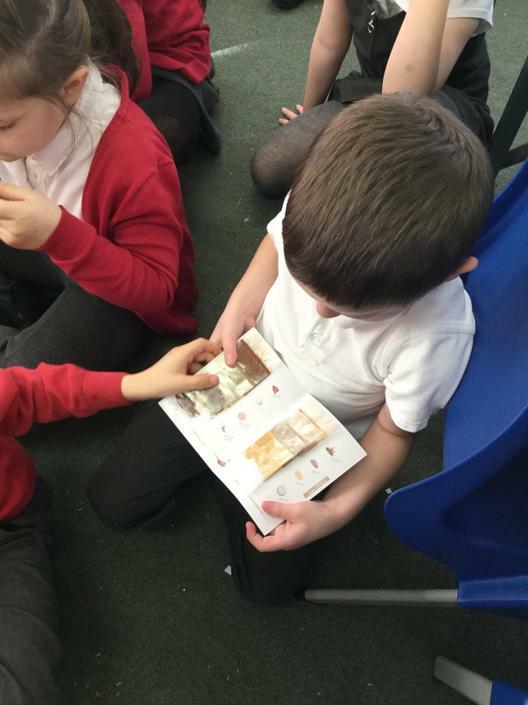 2JR displayed confidence, enjoyment and enthusiasm to our wonderful parents when reading The Tunnel by Anthony Browne. 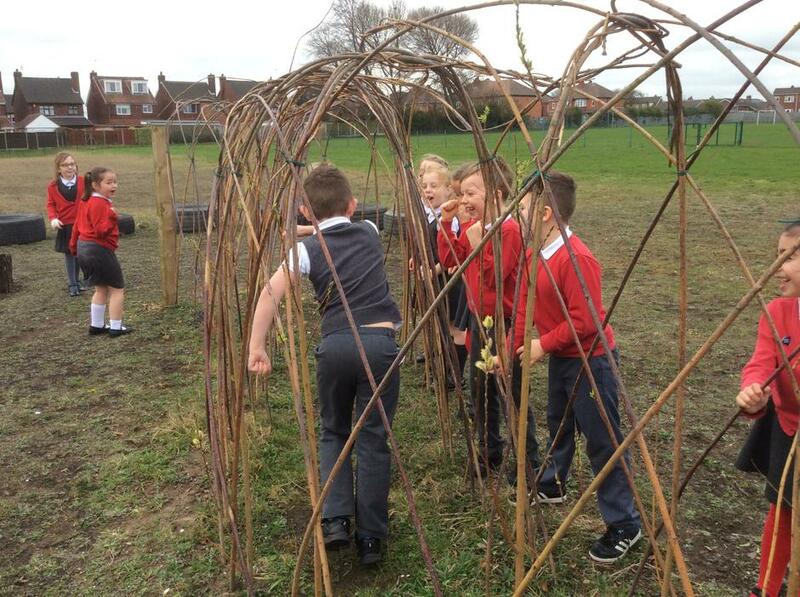 Should I follow my brother through the tunnel? 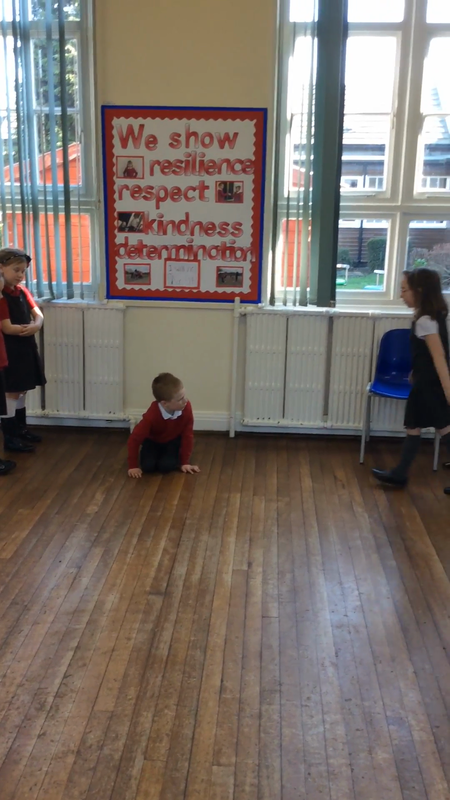 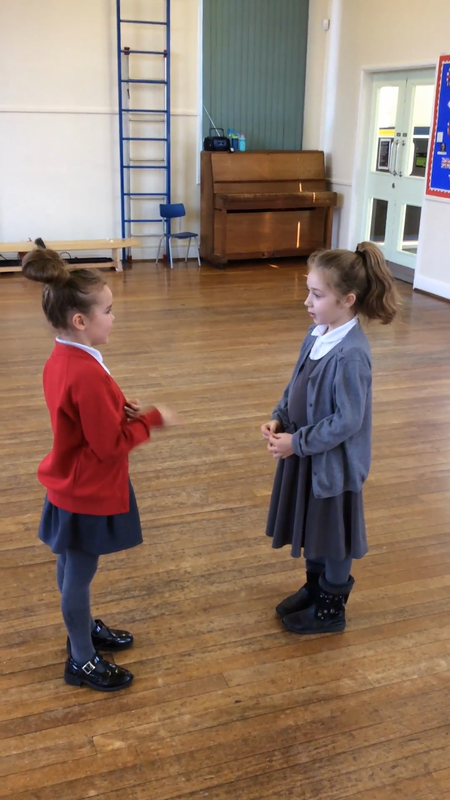 This drama brought a deeper thinking to the story and gave the children the opportunity to understand a character's thoughts and feelings. 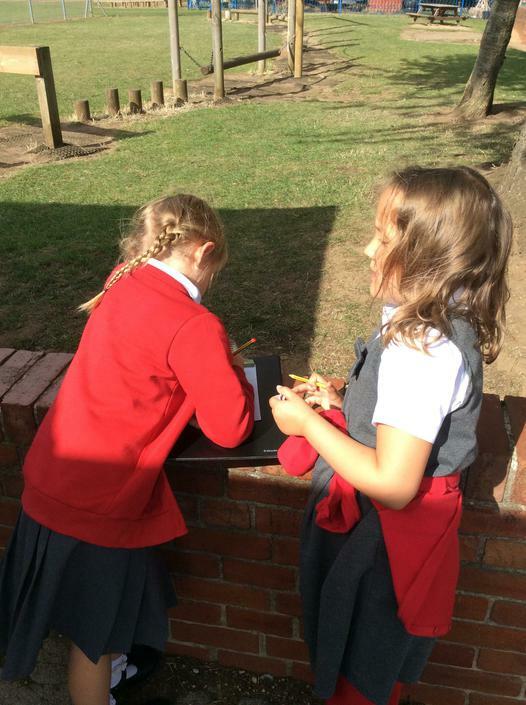 Well what a week ... exploring, questioning, investigating...having fun! 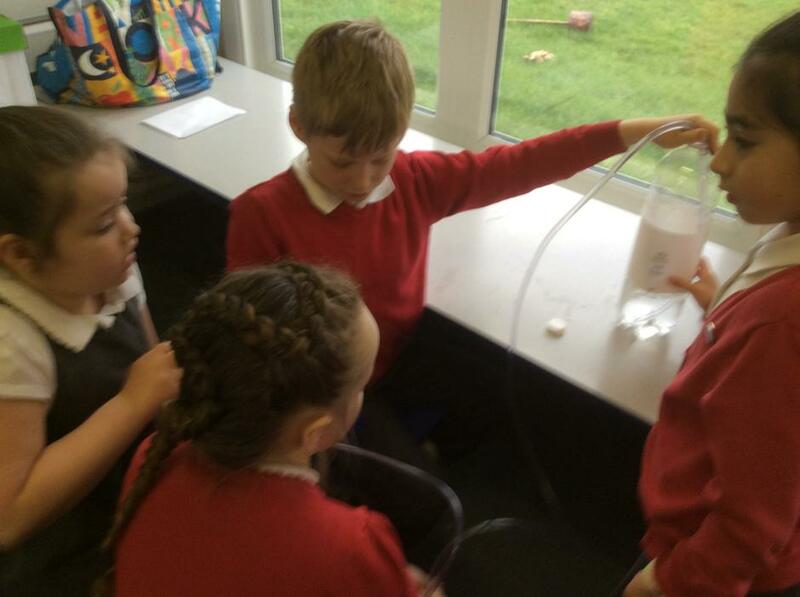 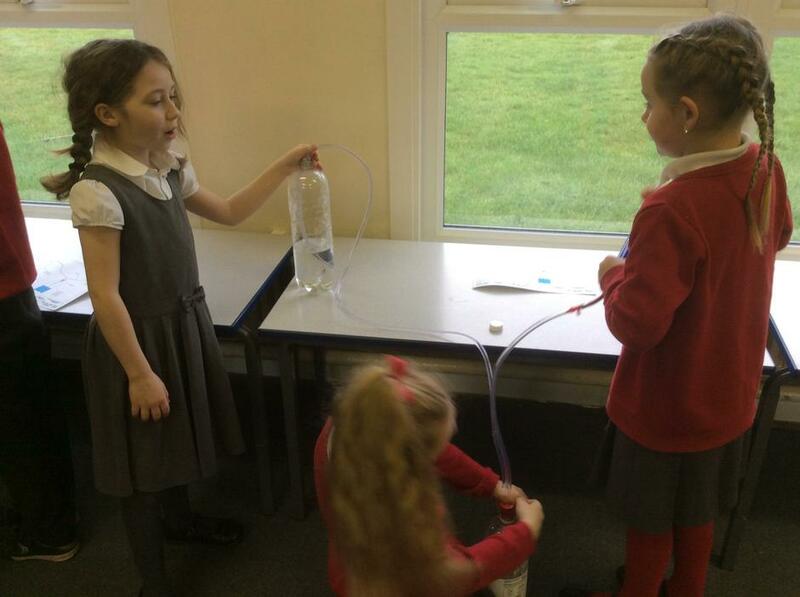 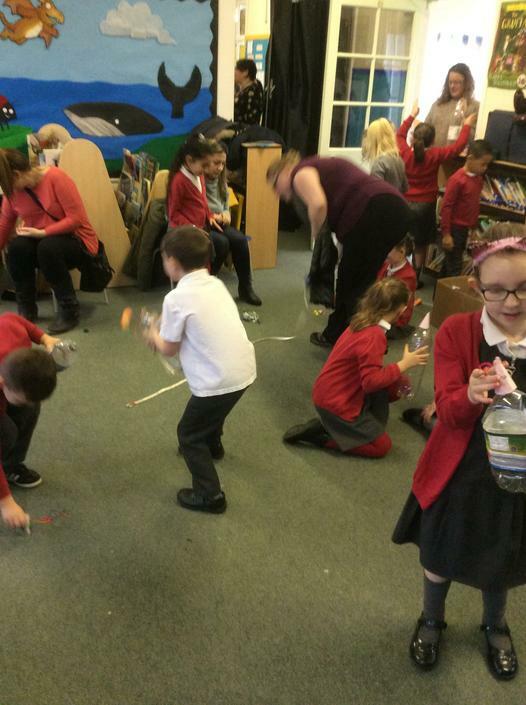 Who would have thought it ... but we found out that YES they can fly ...when the children use a rocket to launch them! 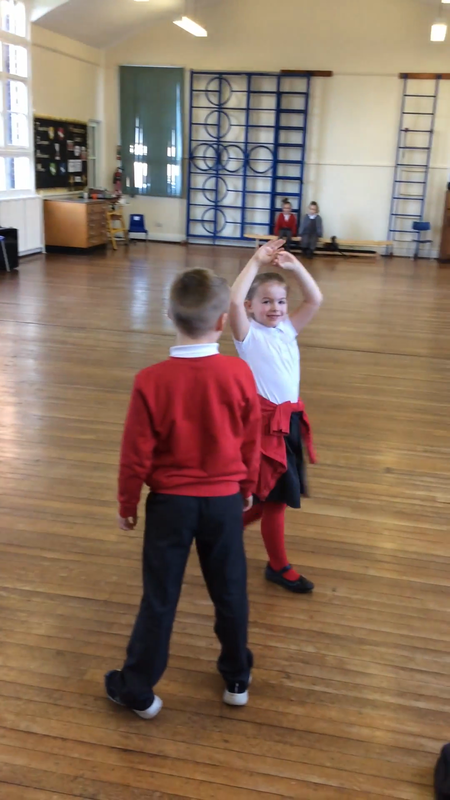 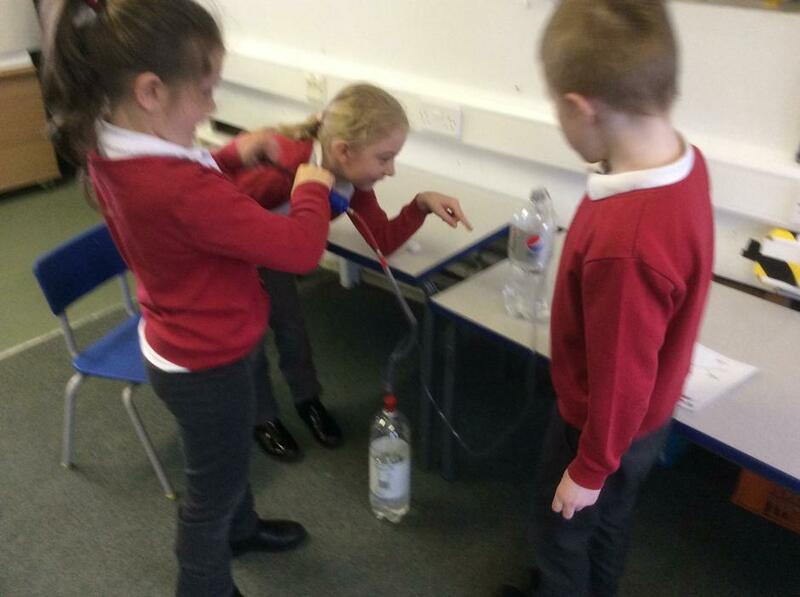 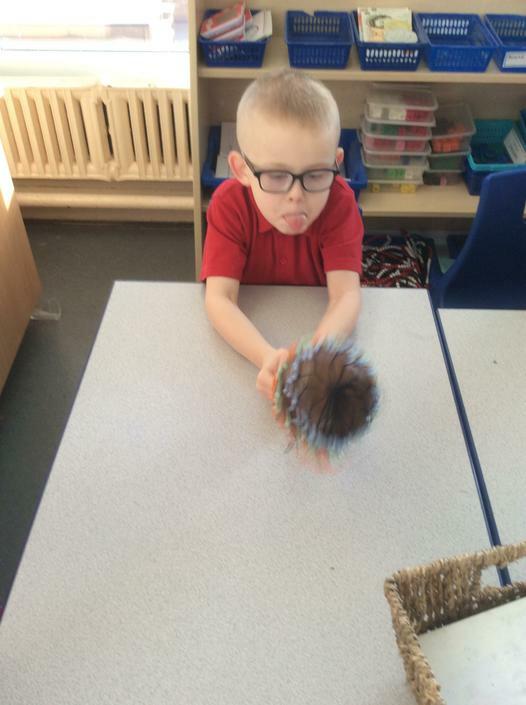 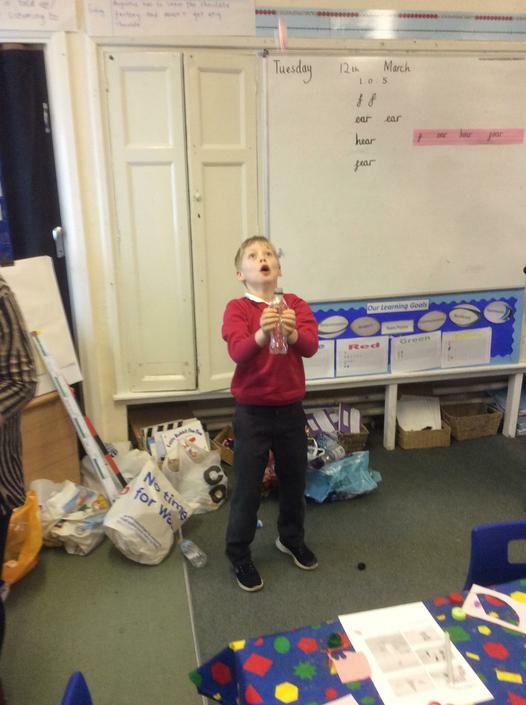 The children investigated how they could make the mouse fly higher and how far they could make it fly. 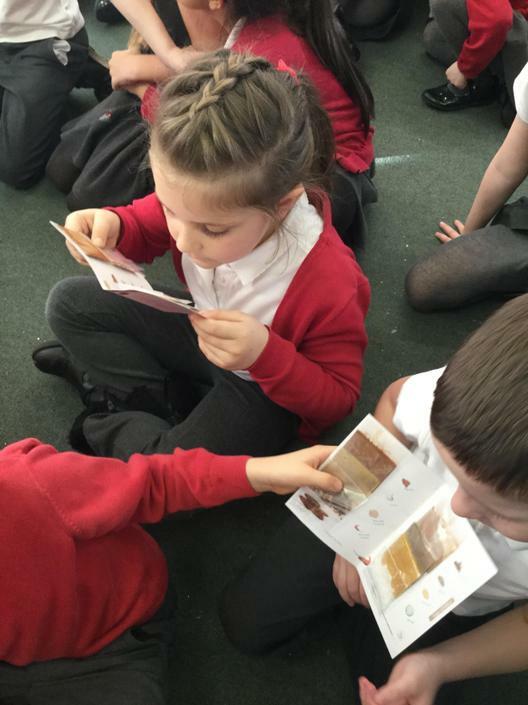 The children are looking at 'Warning Tales' as part of our Literacy unit. 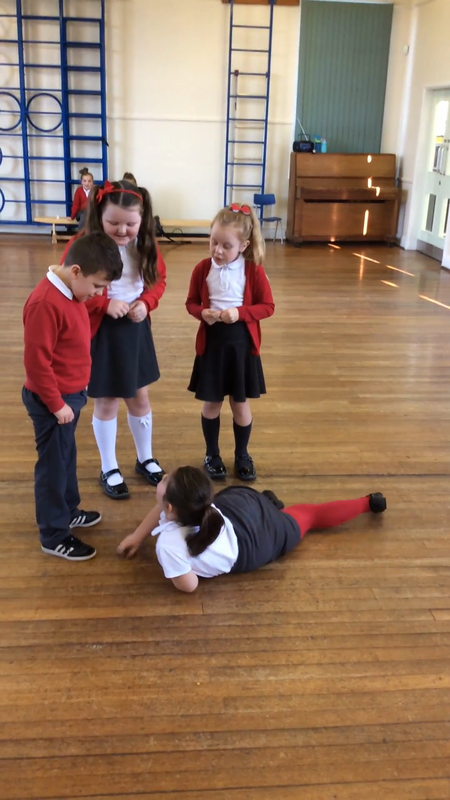 The tale of the "enormously fat", "greedy boy" who was warned not to touch the chocolate river, has been acted out perfectly by the children. 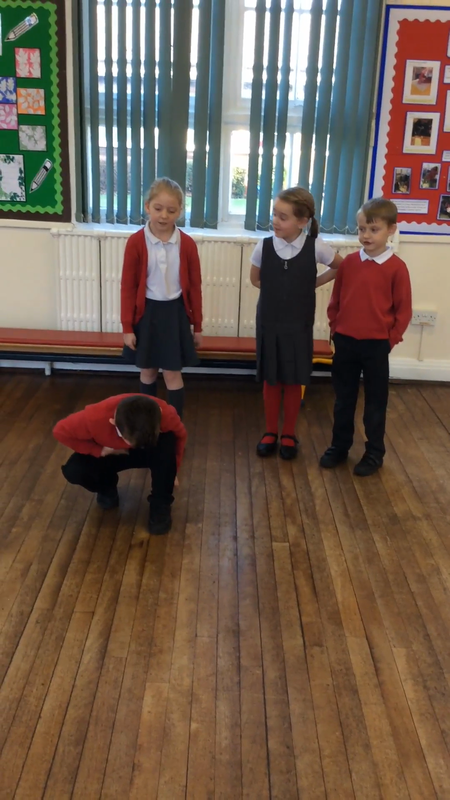 I wonder if you can identify which video clip belongs to the correct part of the story?! 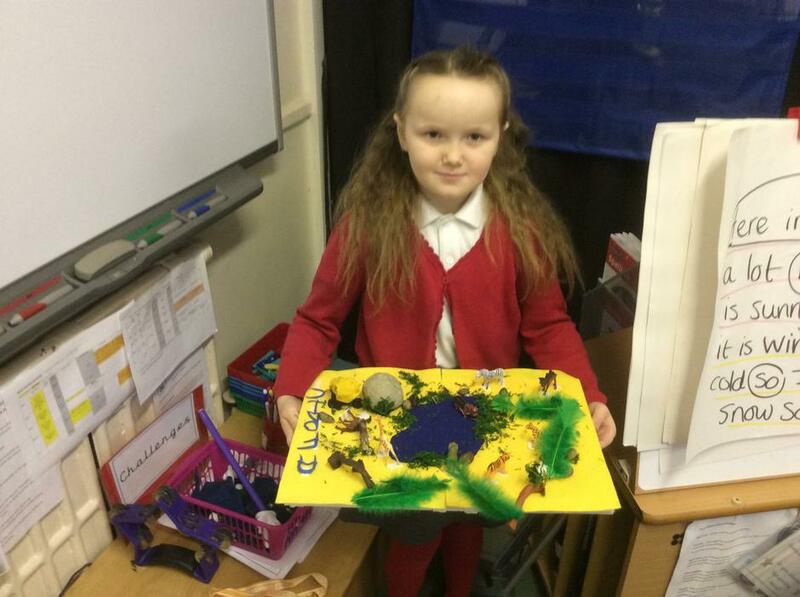 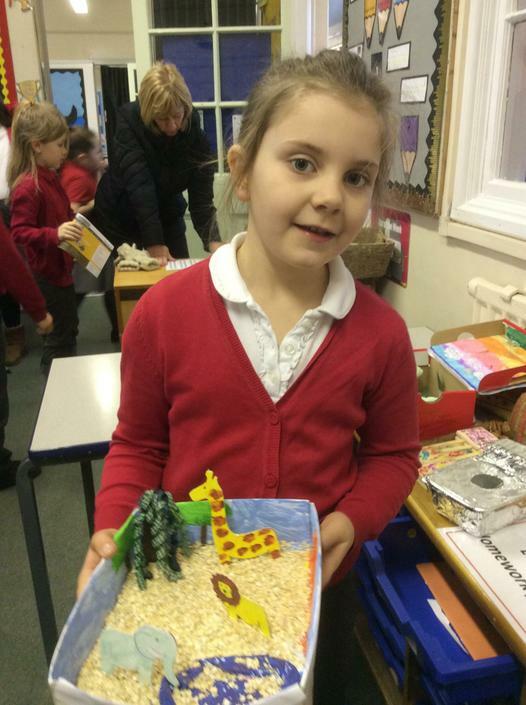 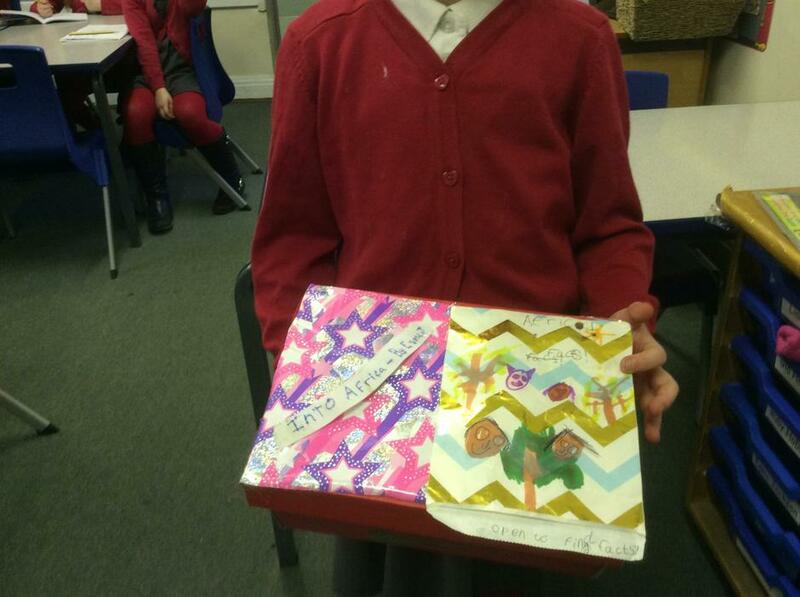 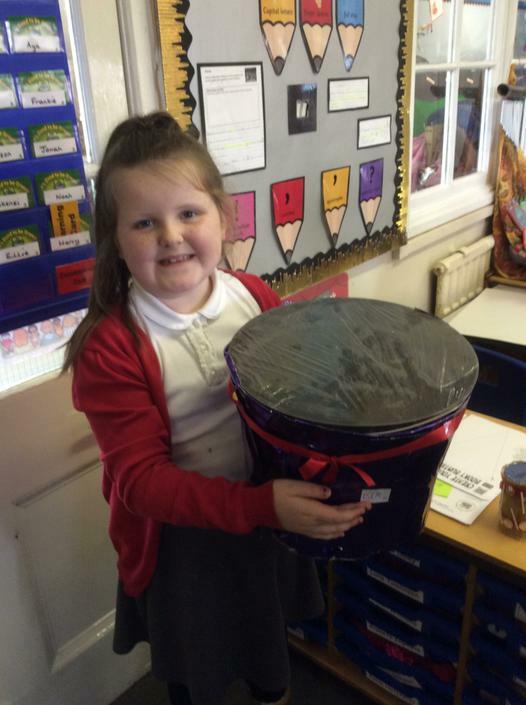 What awesome homework we have had! 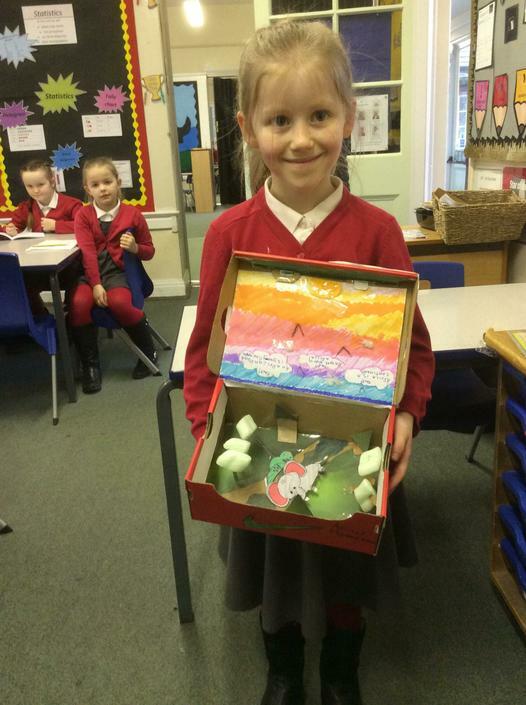 The effort and creativity that has gone into the homework has been phenomenal. 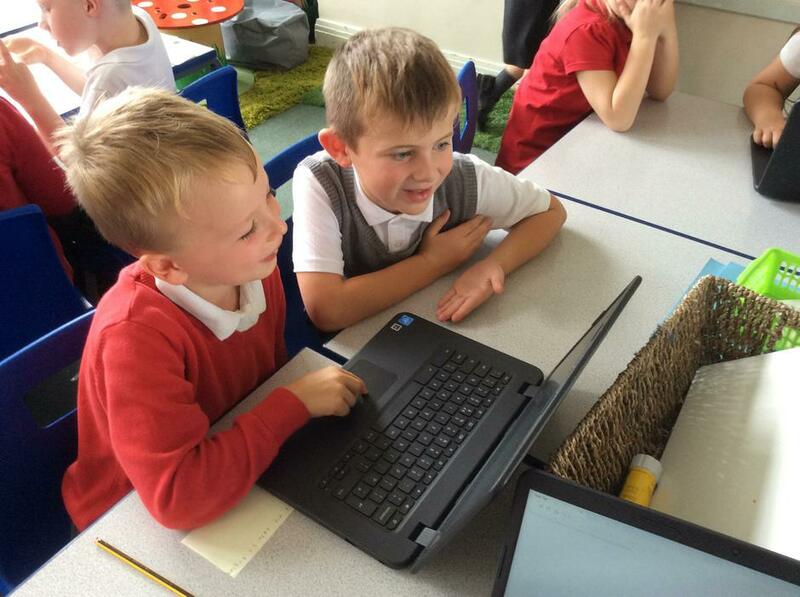 Don't forget to follow us on twitter for the latest 2JR updates, news and reminders! 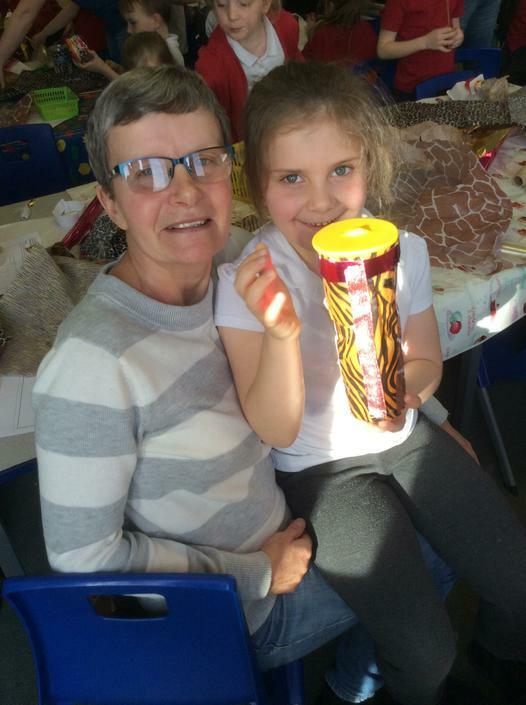 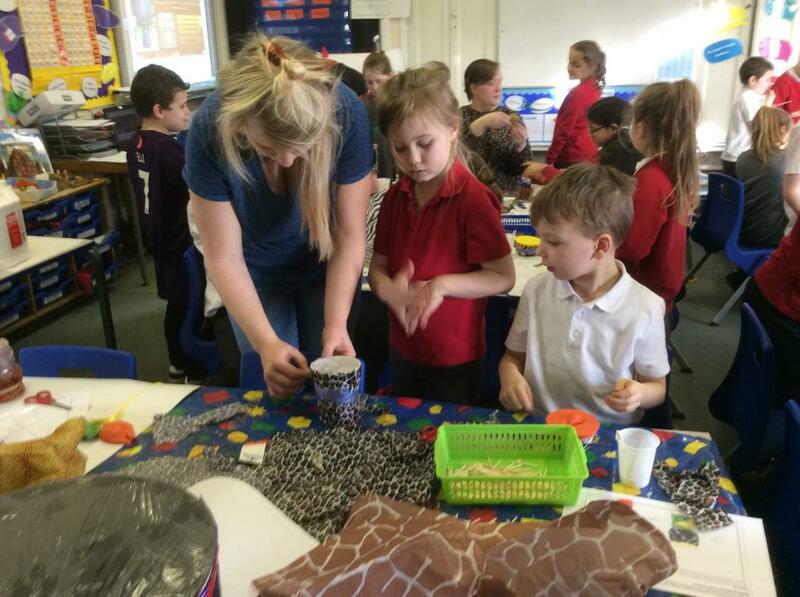 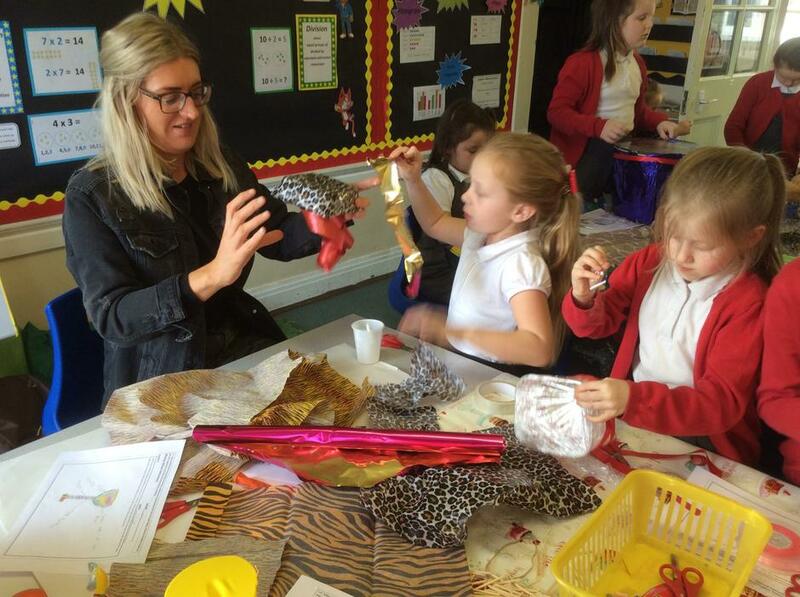 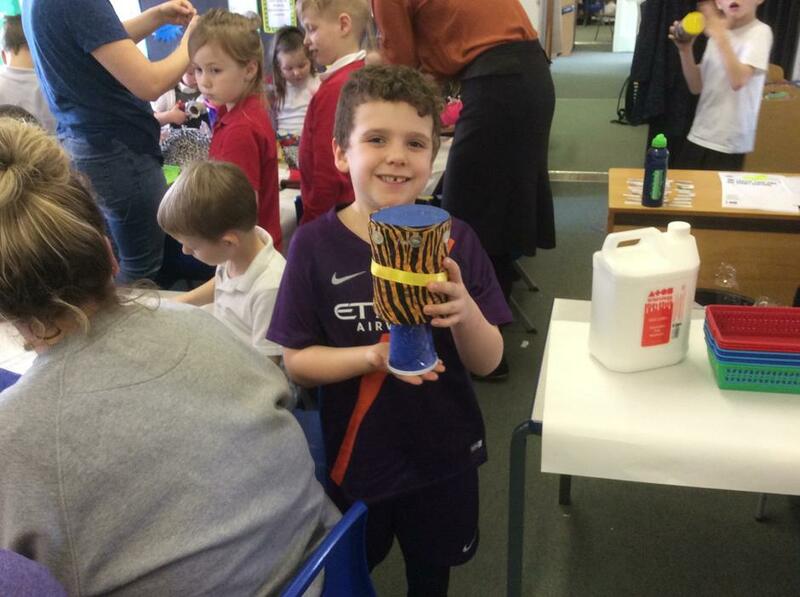 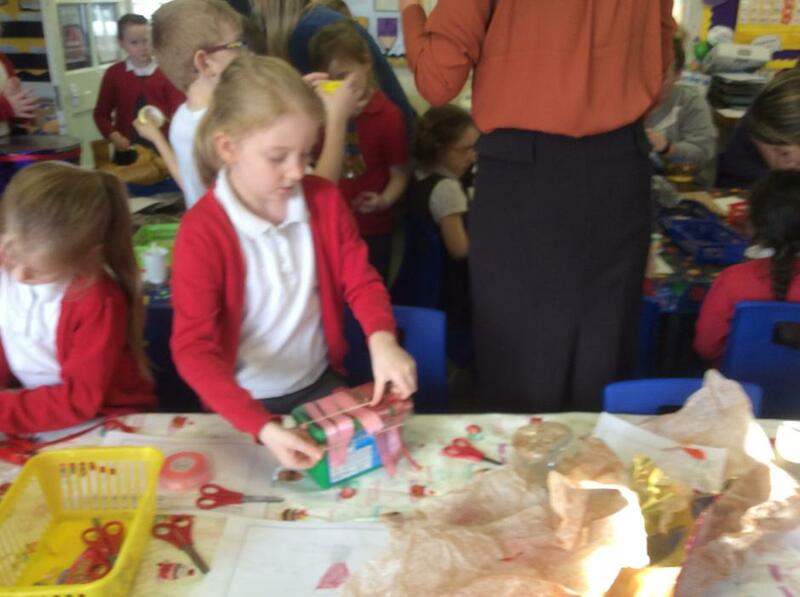 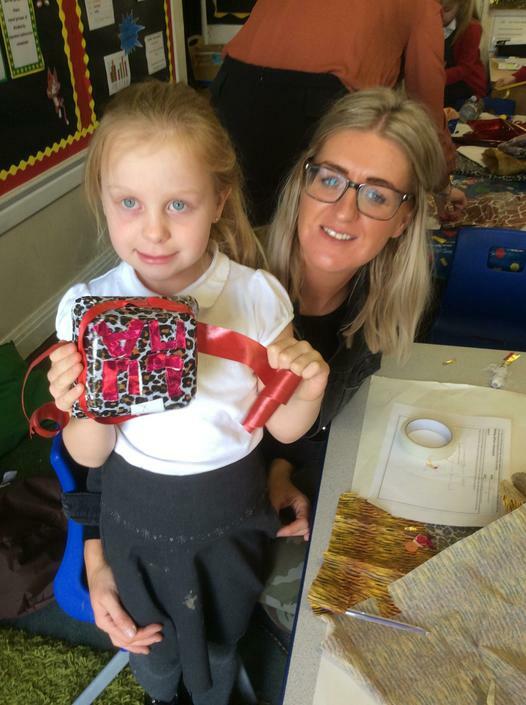 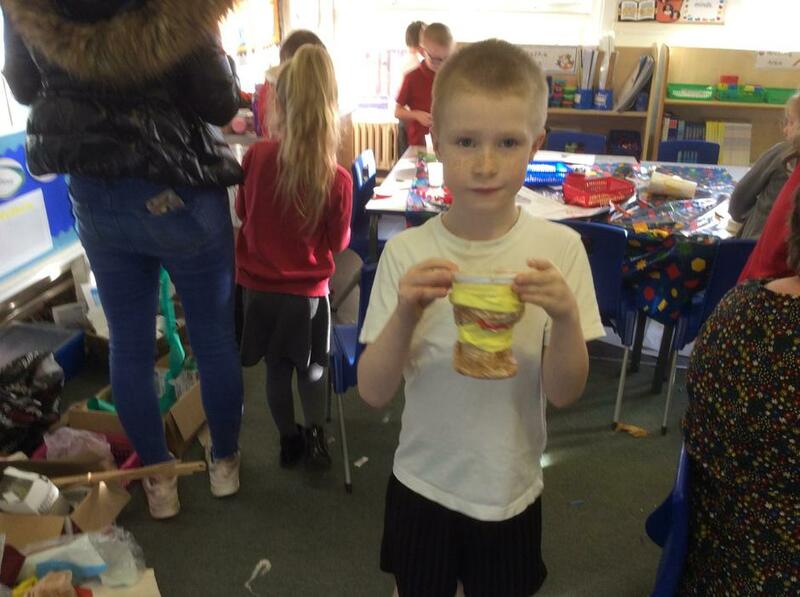 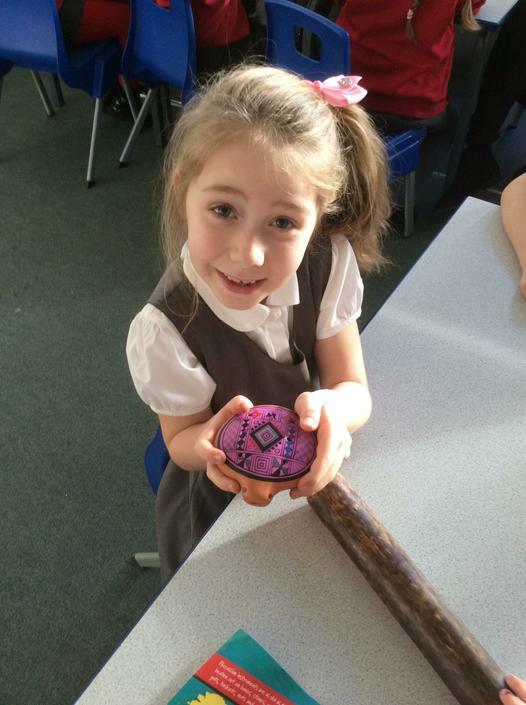 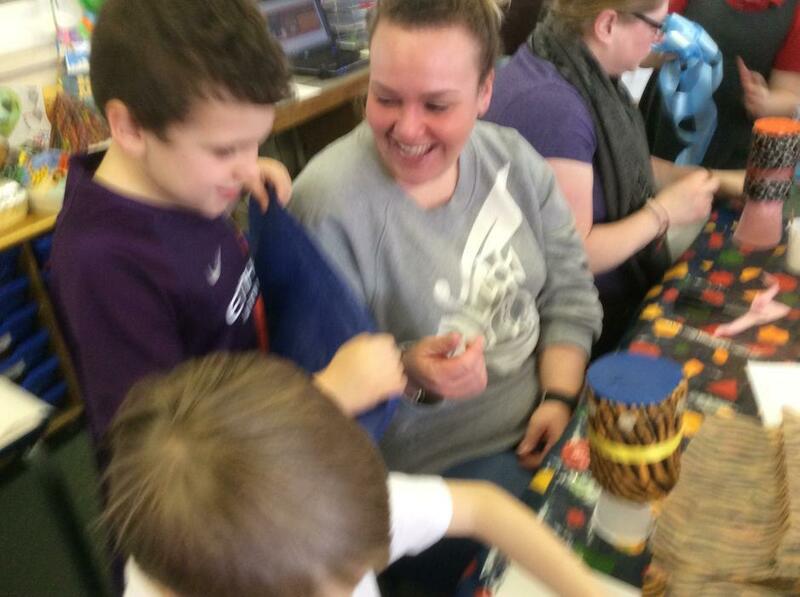 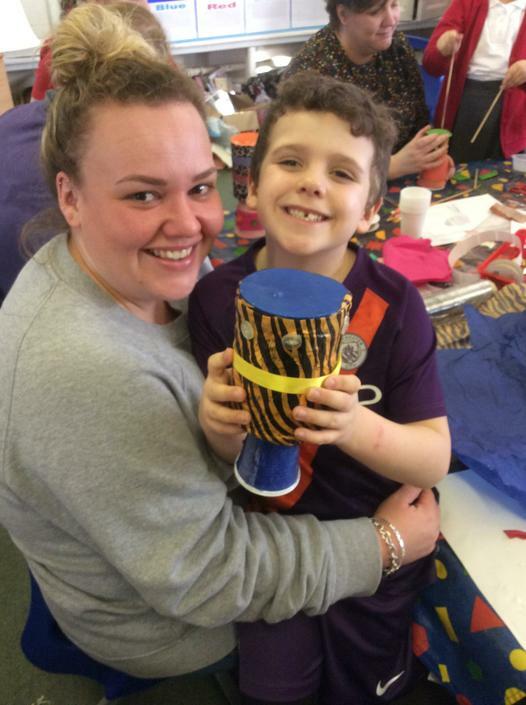 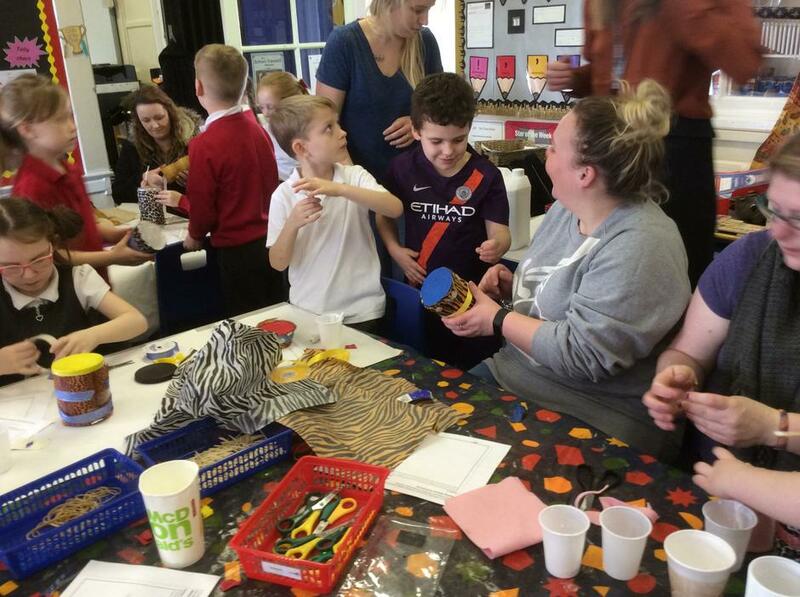 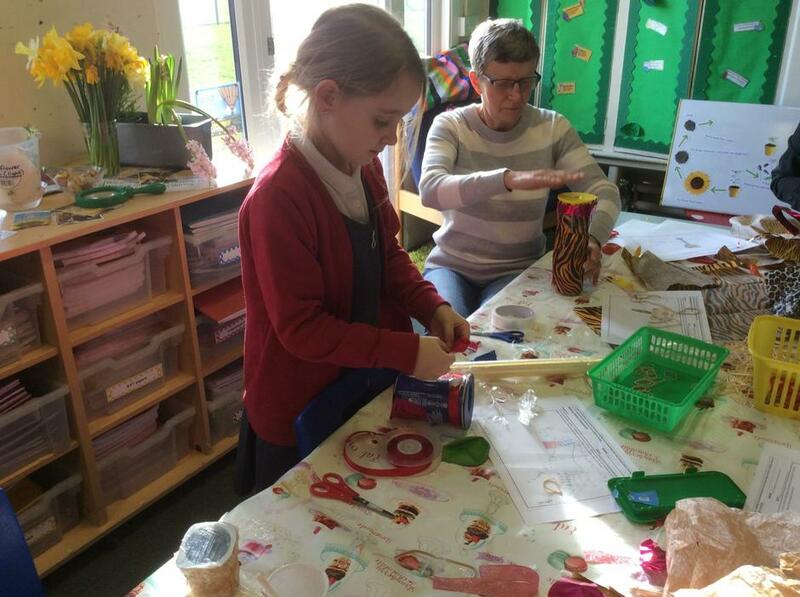 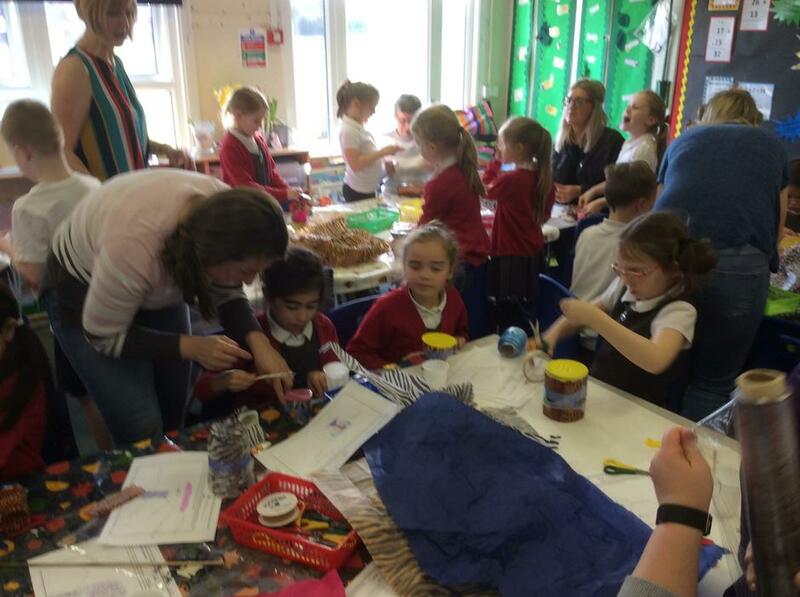 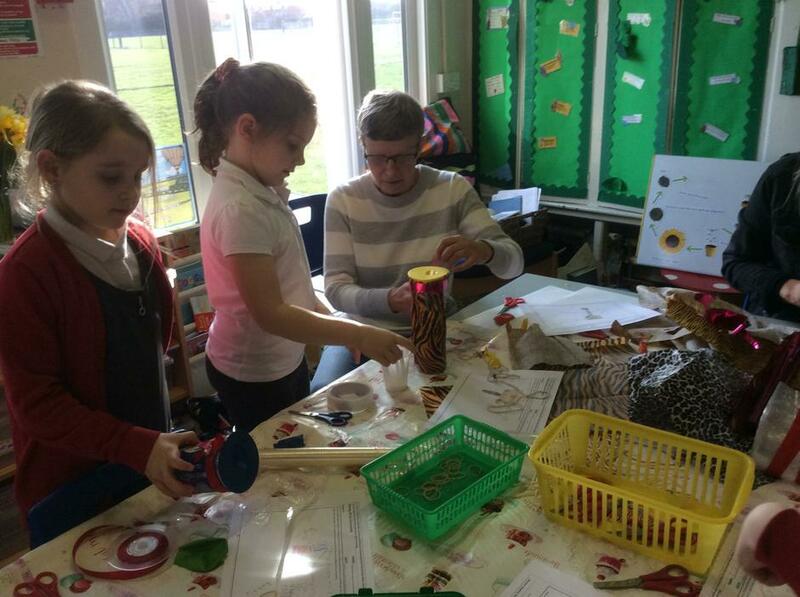 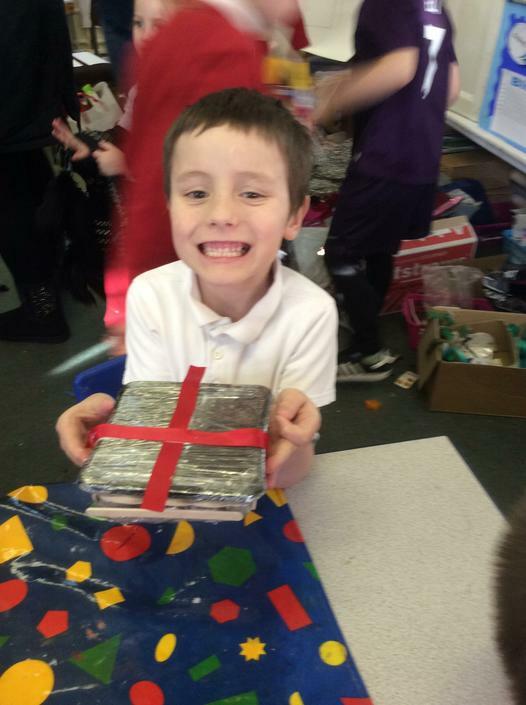 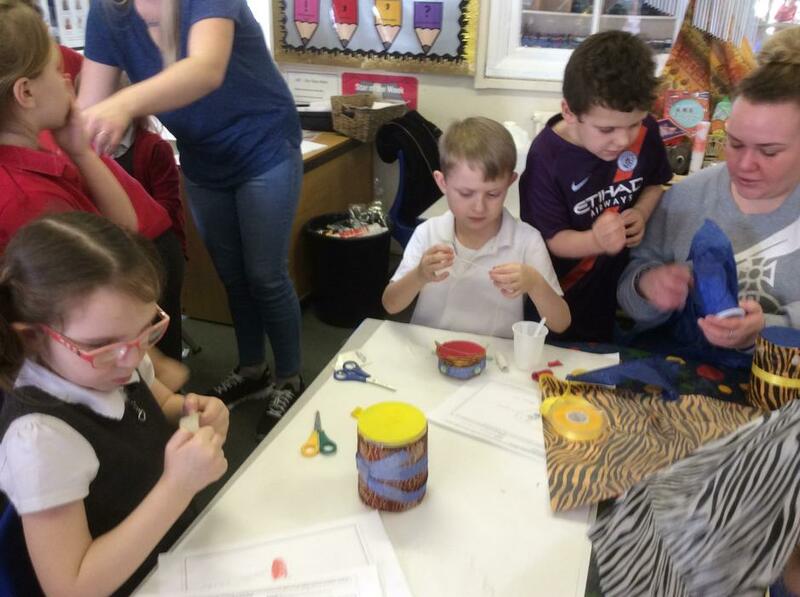 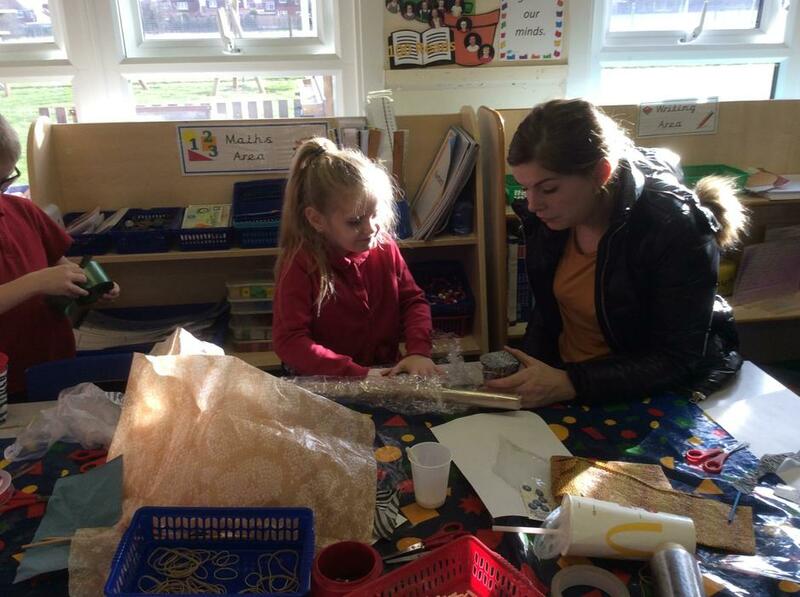 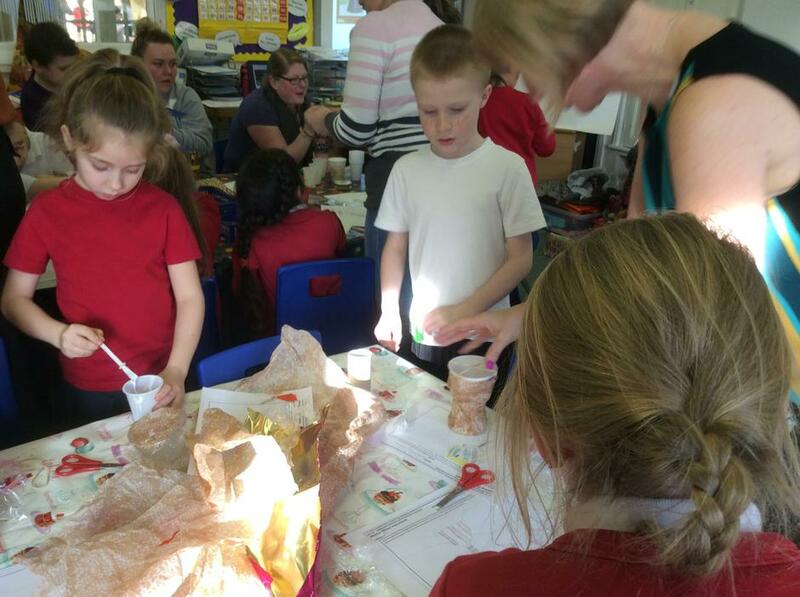 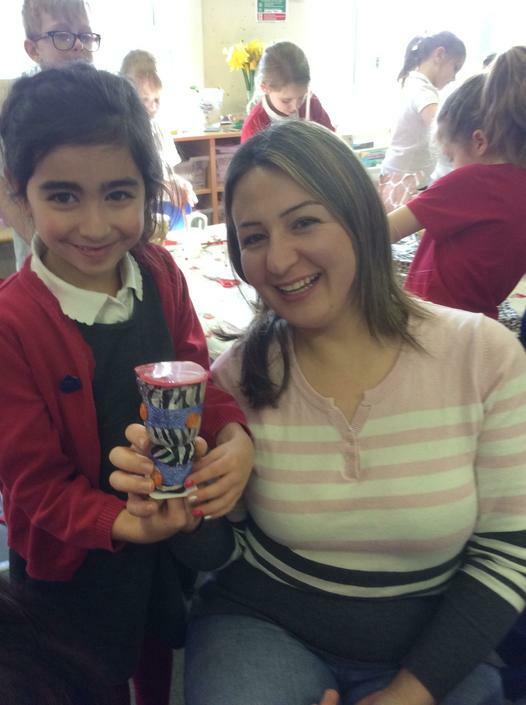 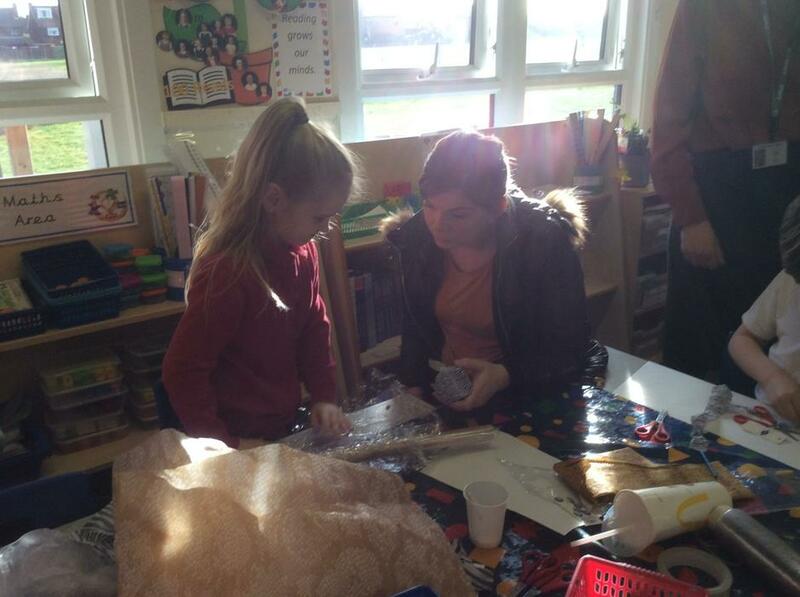 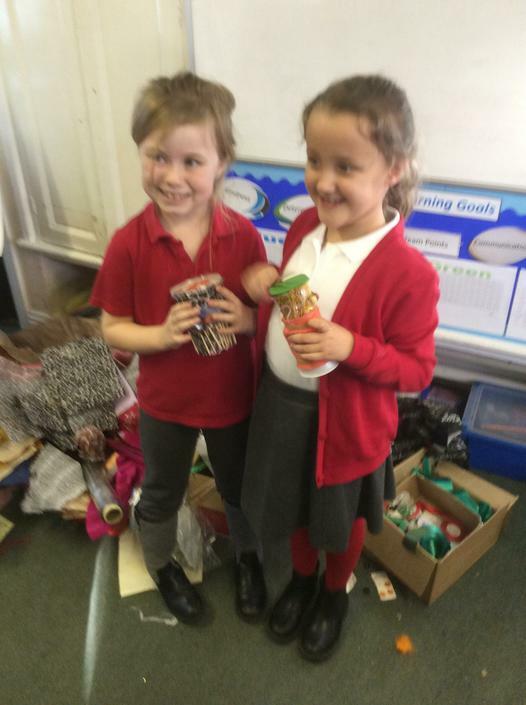 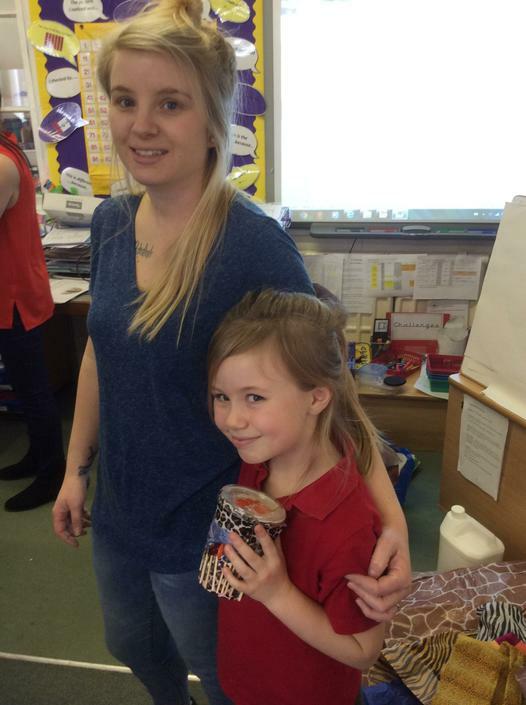 We welcomed 2JR's parents into the classroom and had a fantastic time making African musical instruments. 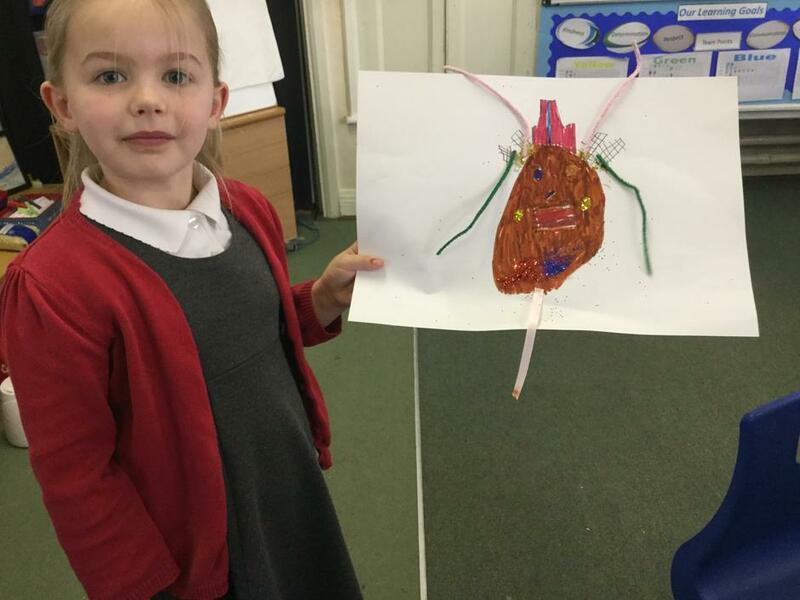 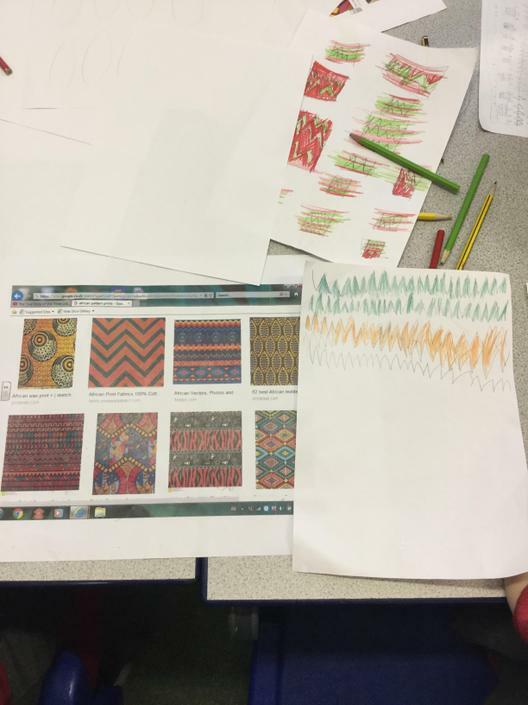 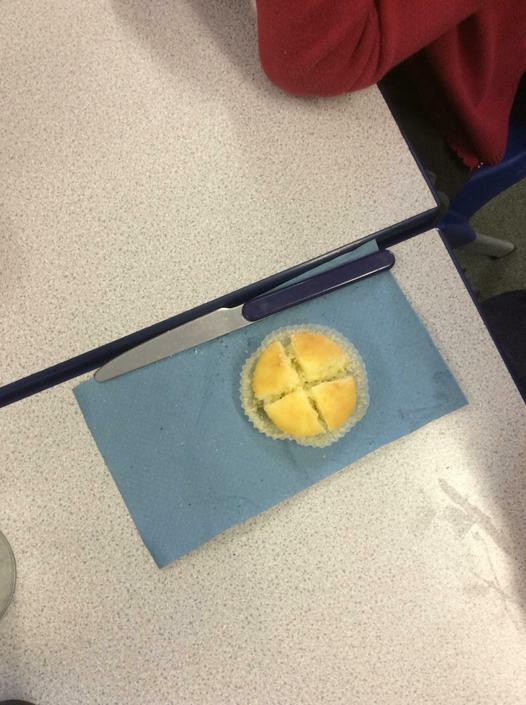 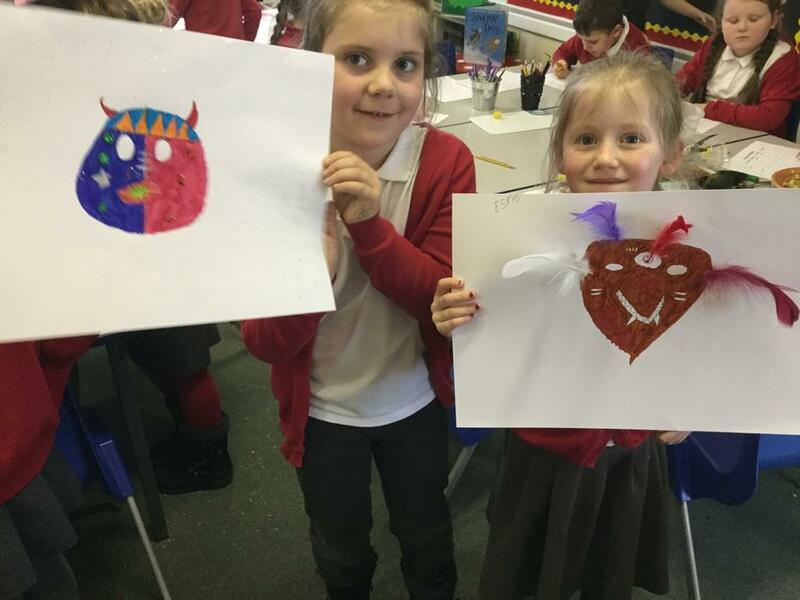 The children used their designs from our D.T. 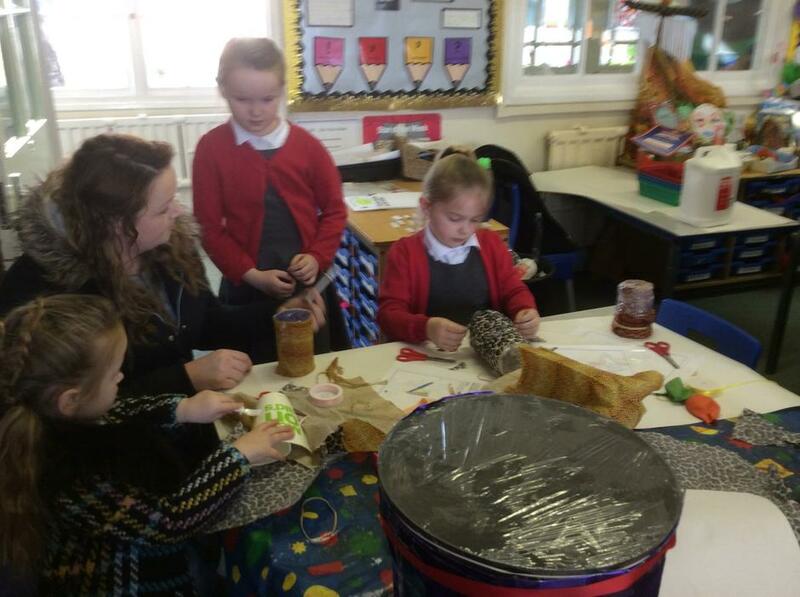 sessions to help them construct their instruments. 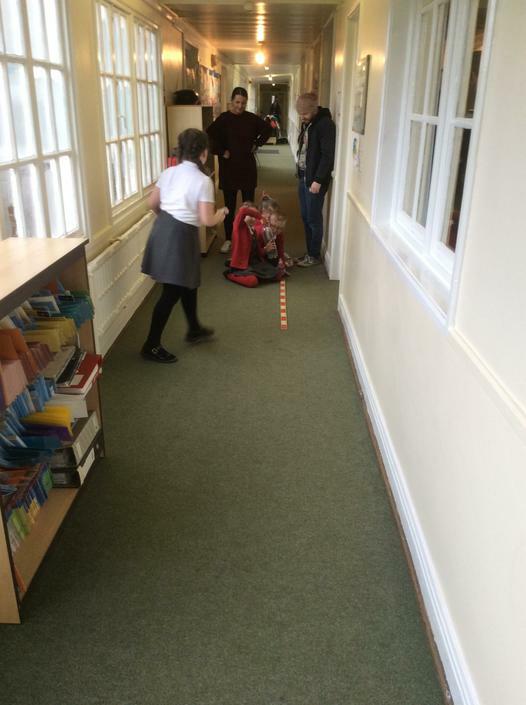 I'm not sure who had more fun.... the children or the parents! 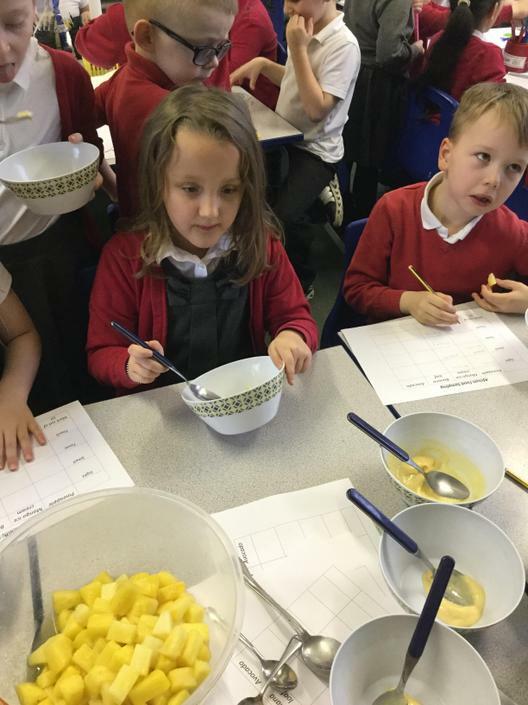 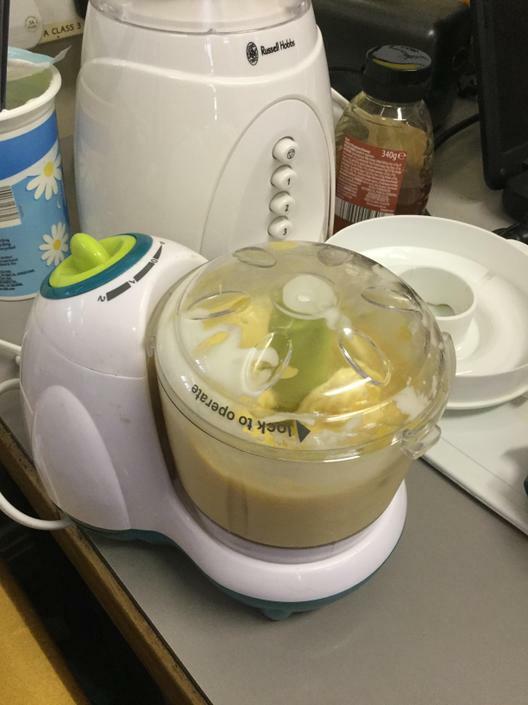 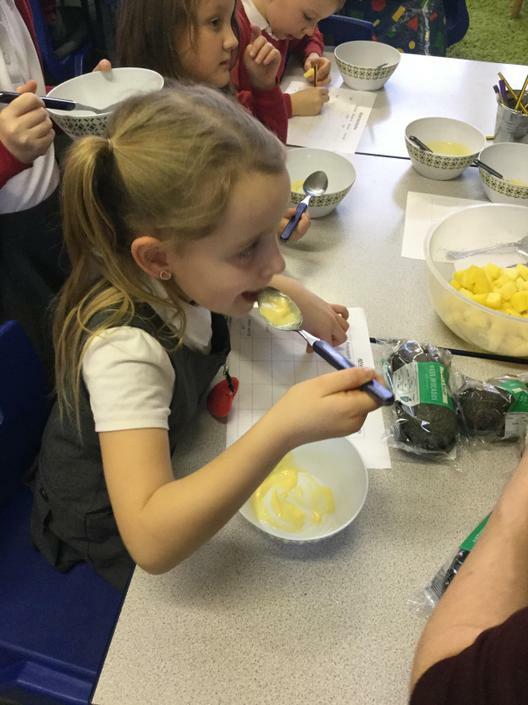 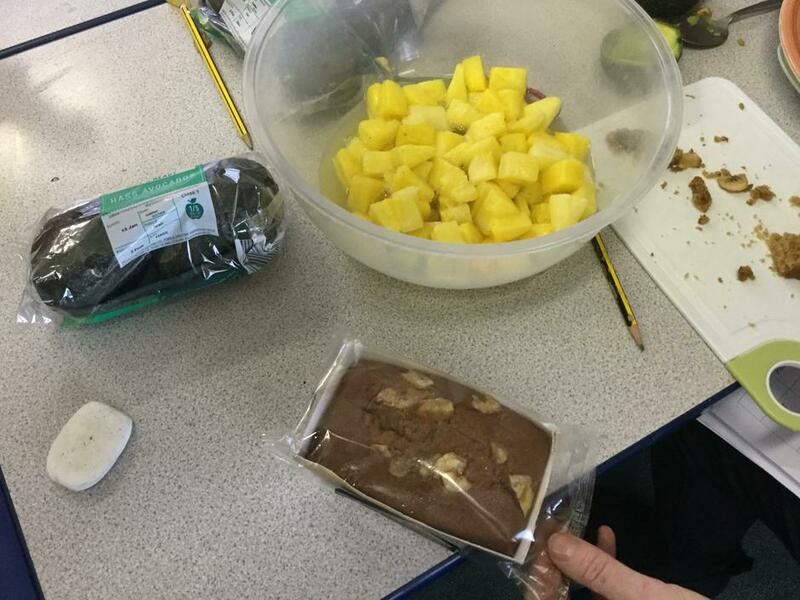 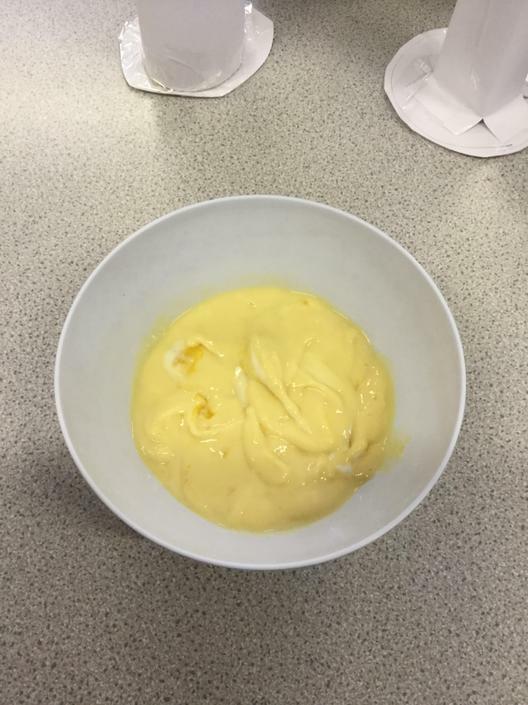 They absolutely loved the mango ice cream we made, they enjoyed the banana loaf cake and pineapple. 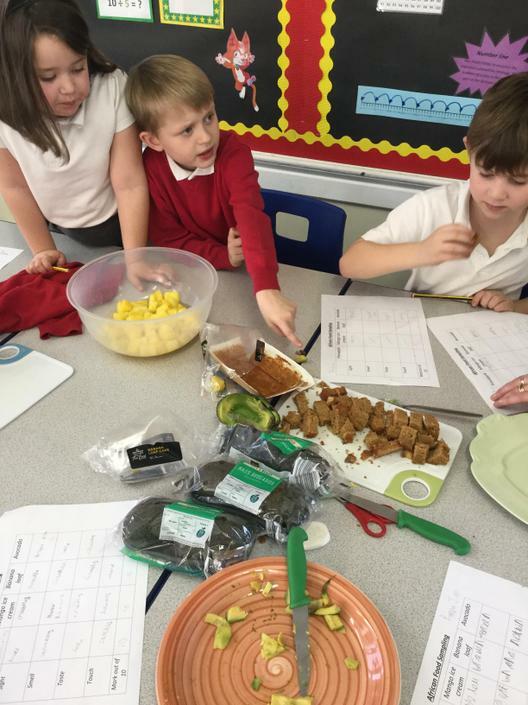 But they weren't too sure on the avocado!!! 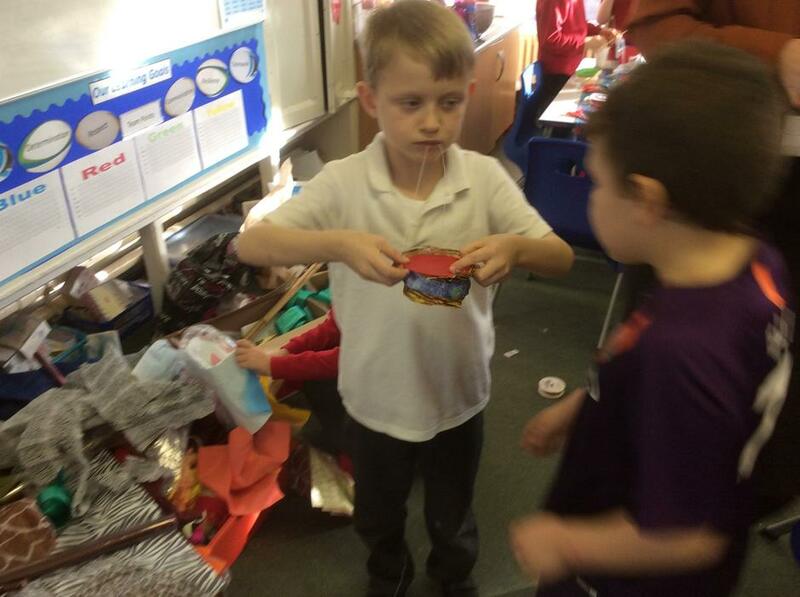 We also smelt the spices from Morocco, Ethiopia and West Africa. 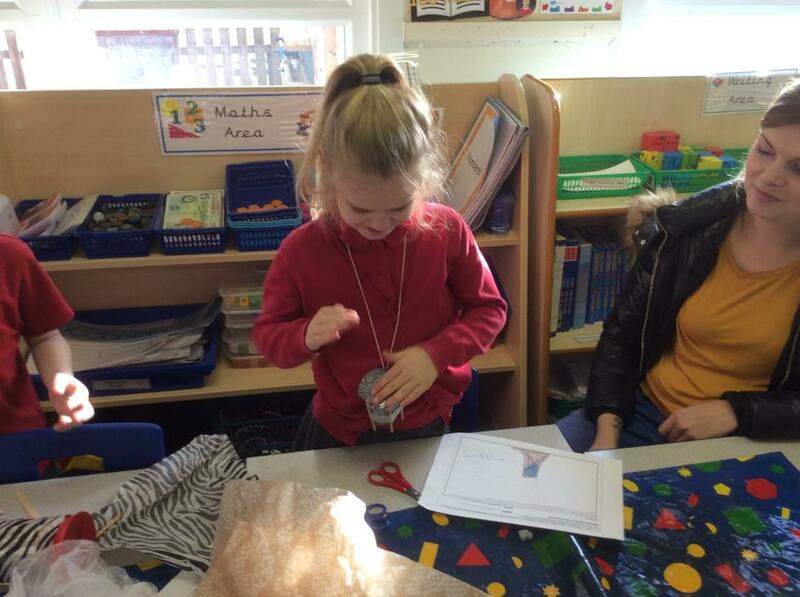 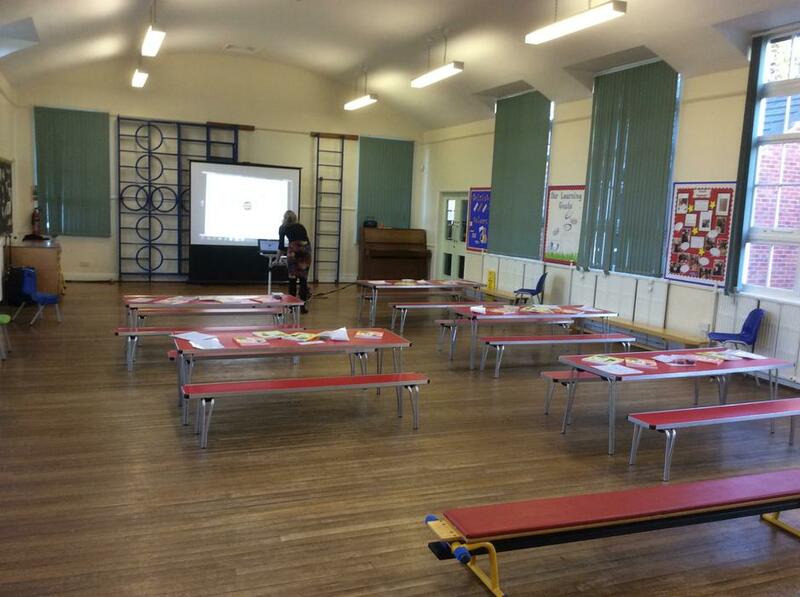 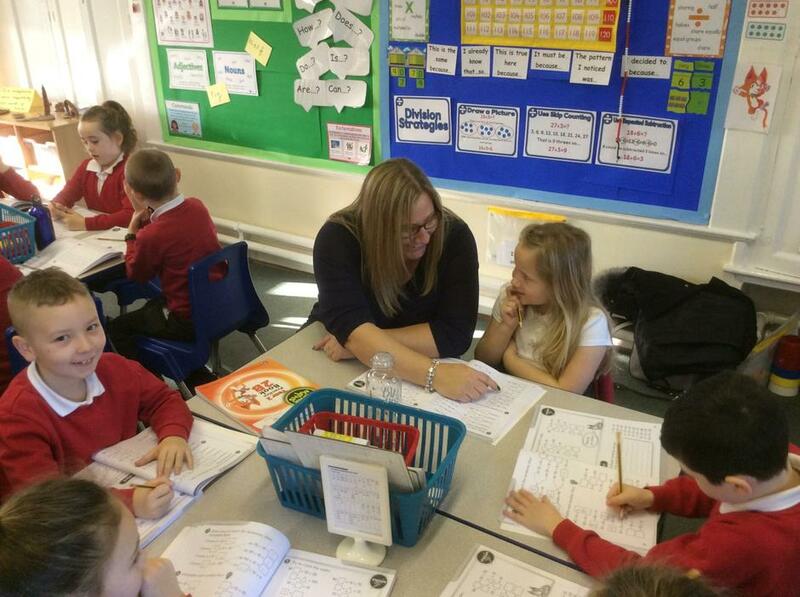 Thank you to all parents/carers who joined us for our super POWER MATHS open morning. 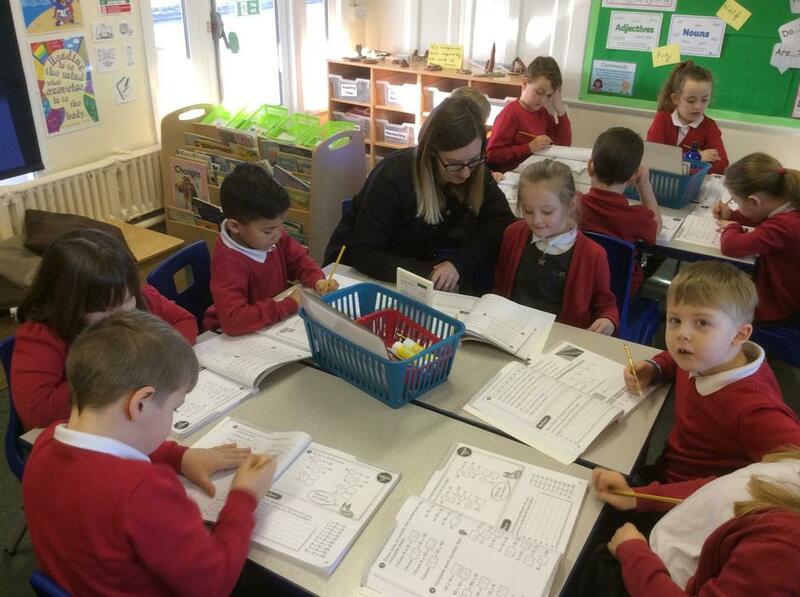 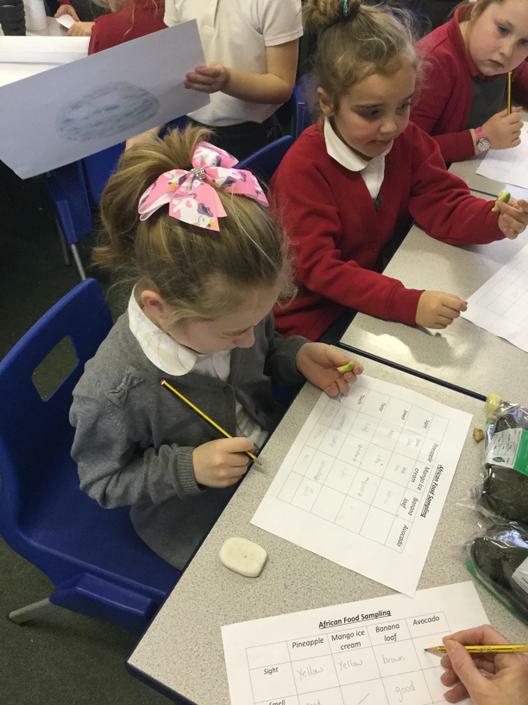 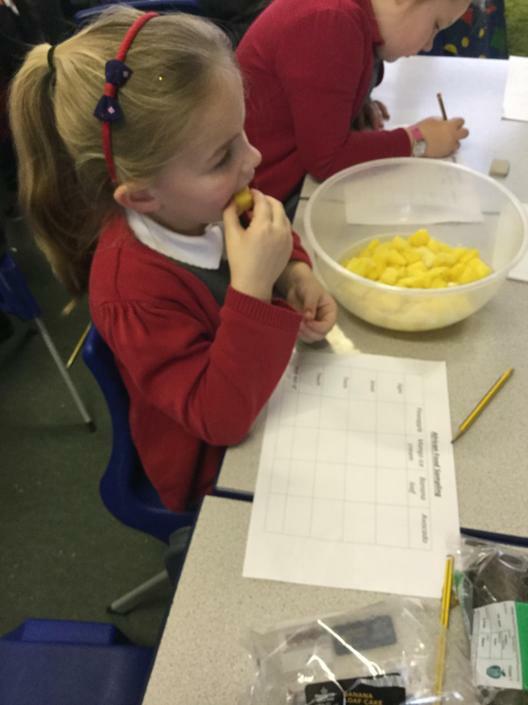 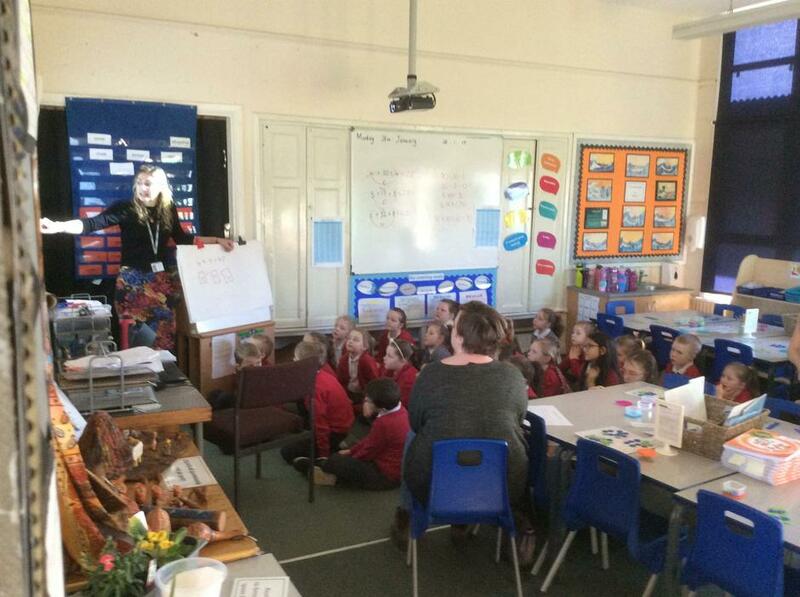 The children loved showing off their incredible maths skills to you and the feedback from the workshop was all incredibly positive. 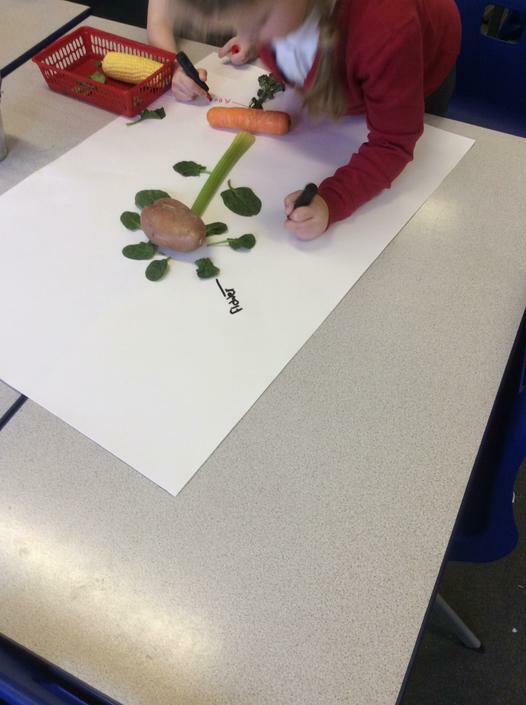 In English the children are imitating the story of The Three Little Pigs. 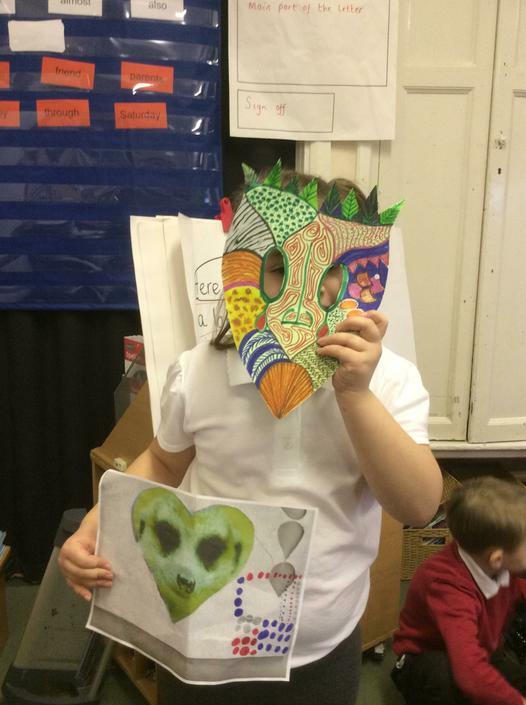 This is part of our 'Conquering the Monster' unit of work. 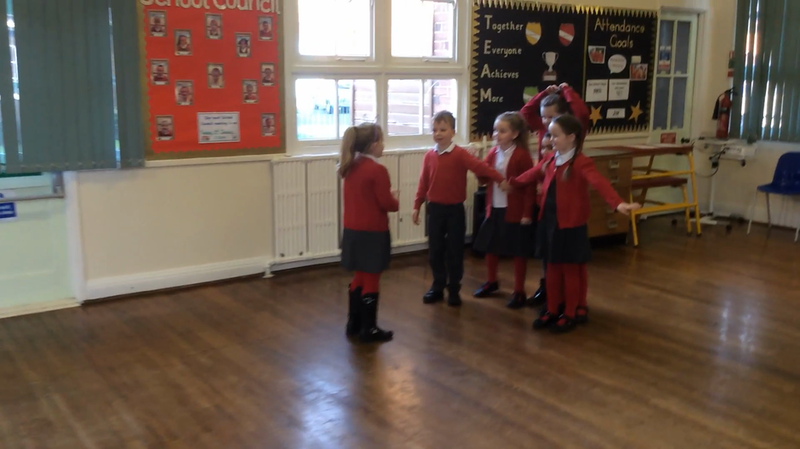 Can you guess whether this clip is part of the opening, build up, problem, resolution or ending? 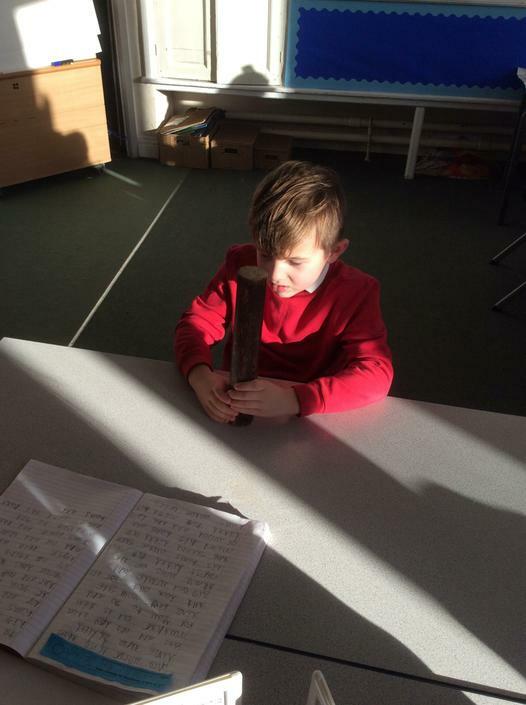 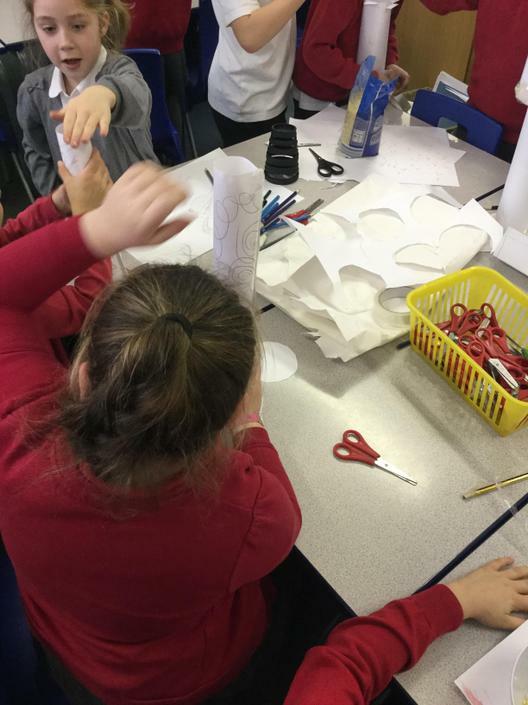 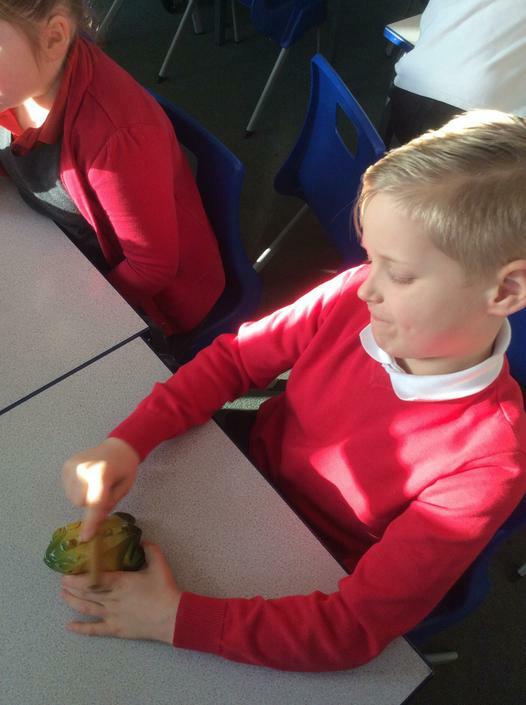 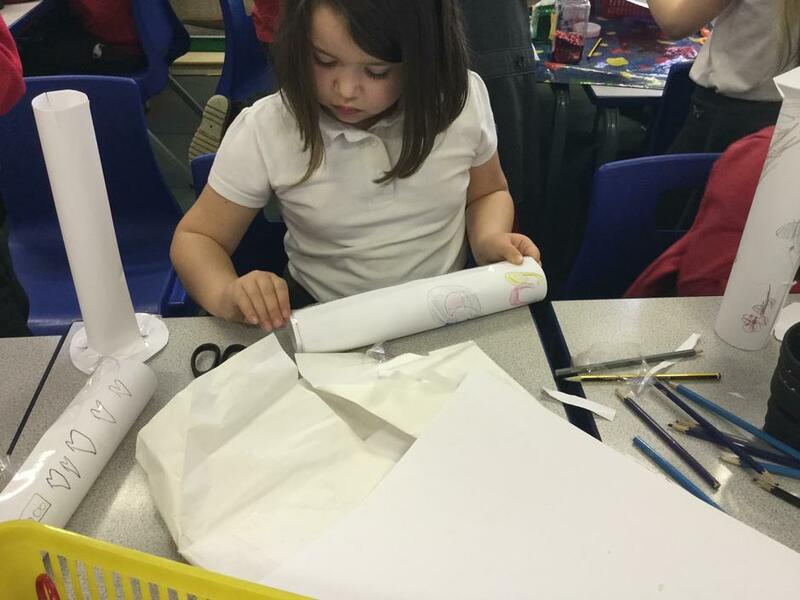 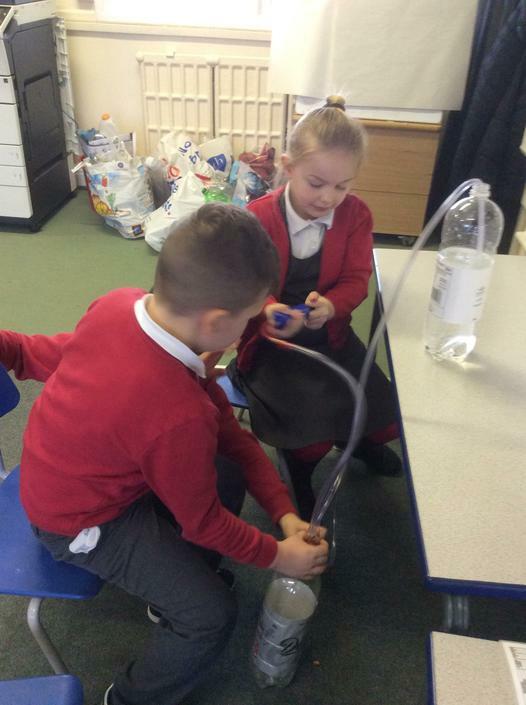 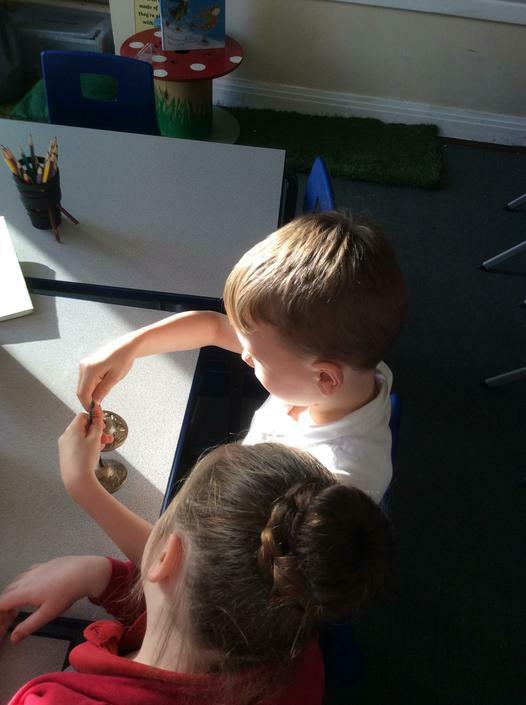 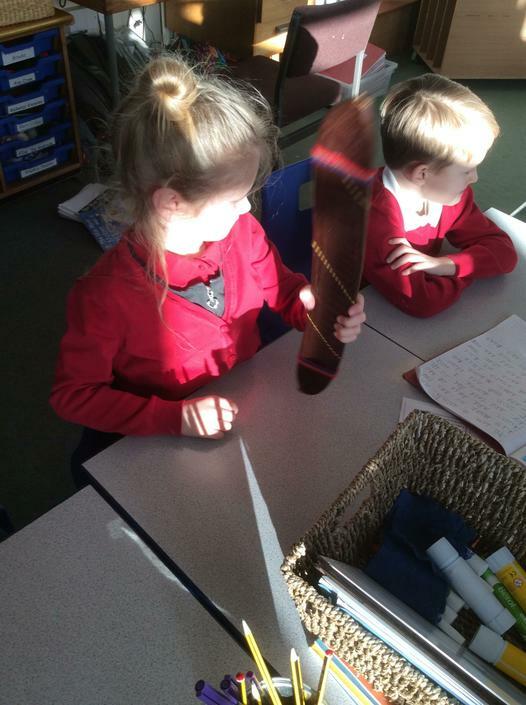 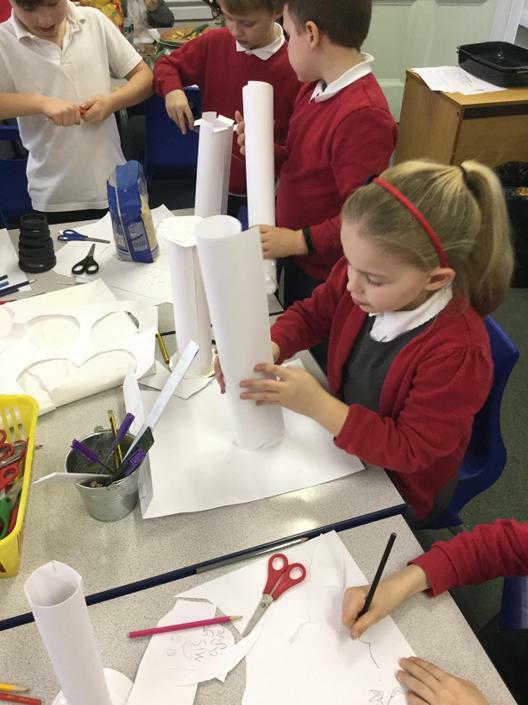 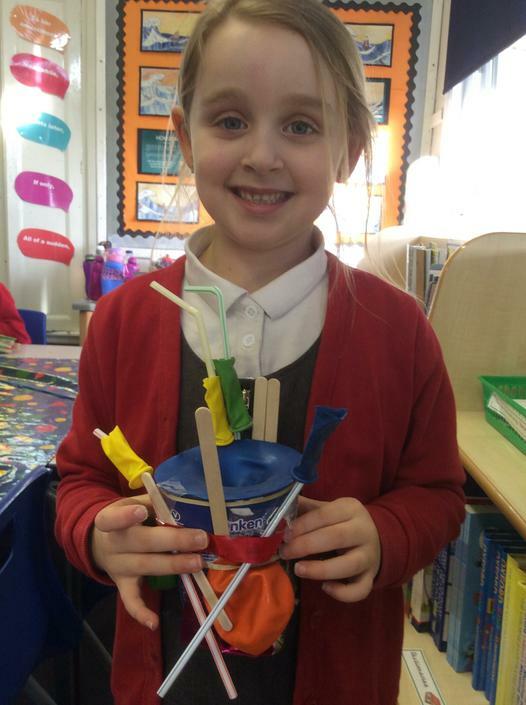 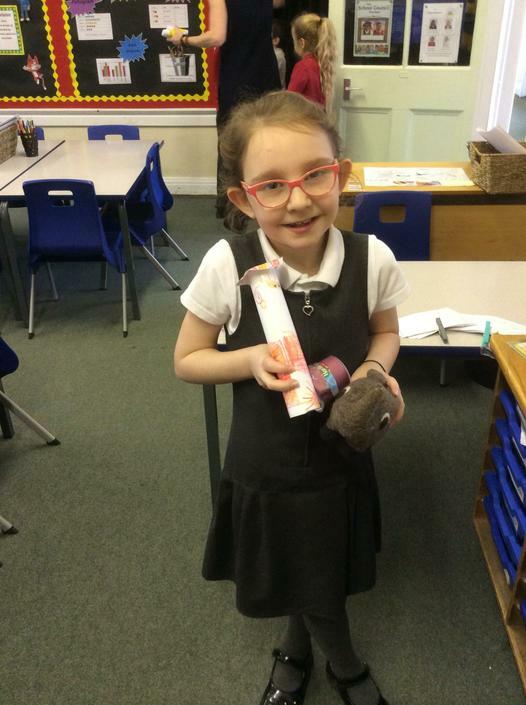 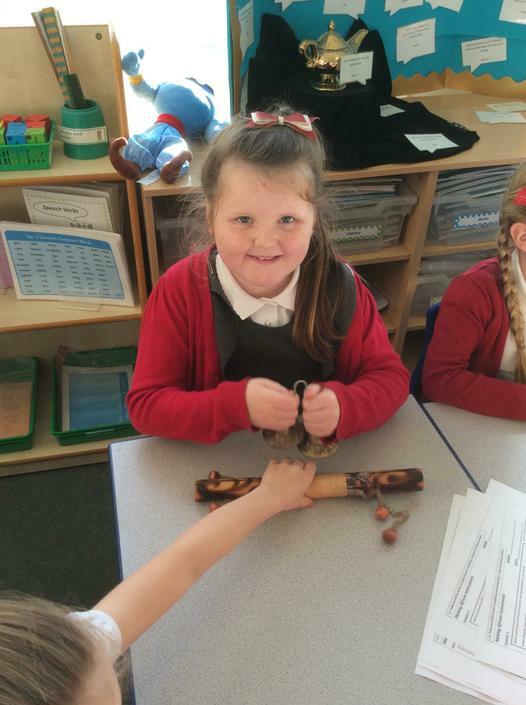 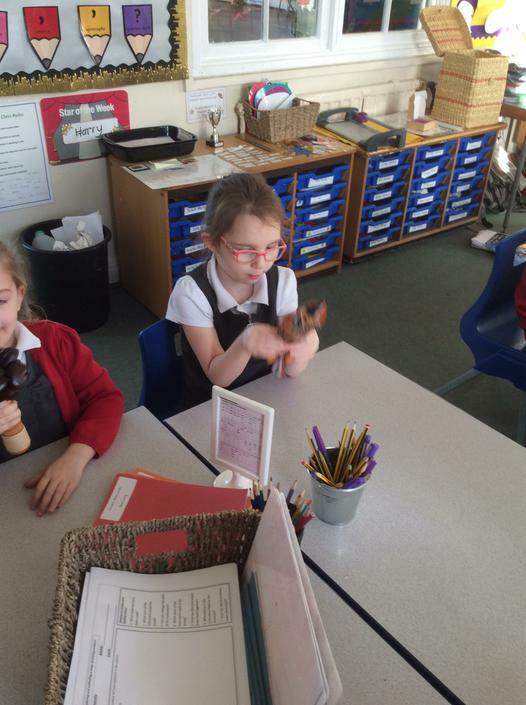 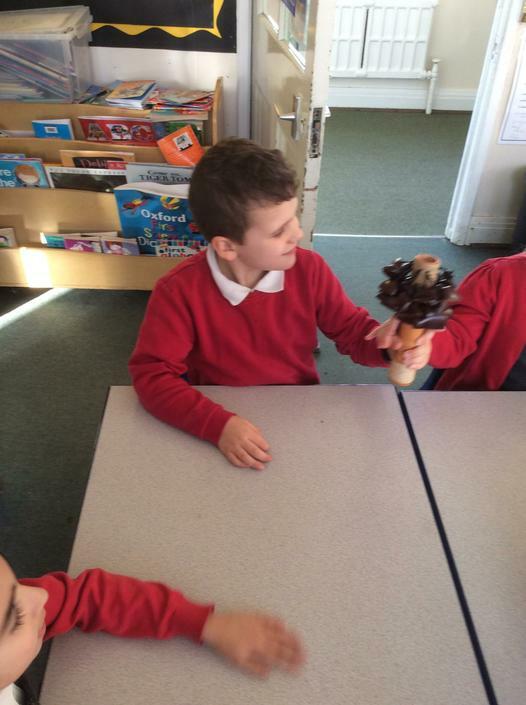 As part of our African Adventure topic, the children are exploring, designing and making African instruments in D.T. 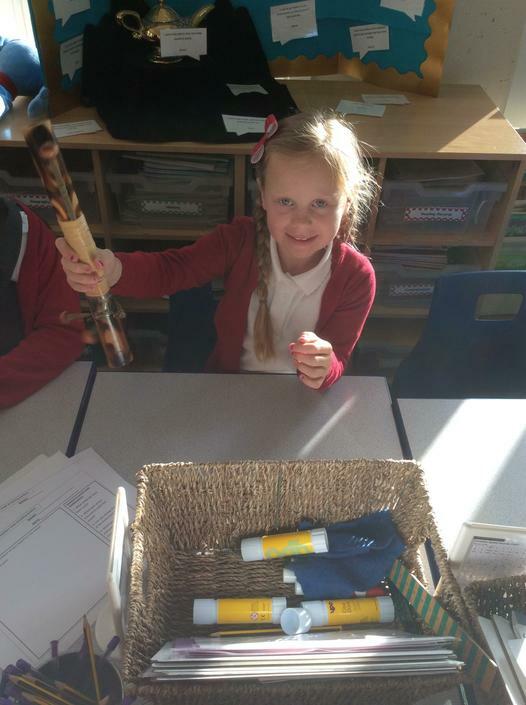 Today the children explored musical instruments from around the world. 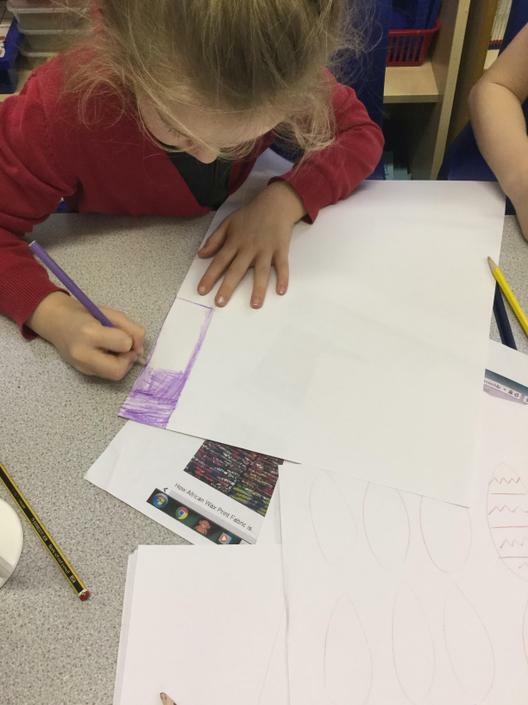 In Geography this week, the children have been looking at the four nations that make up the U.K. 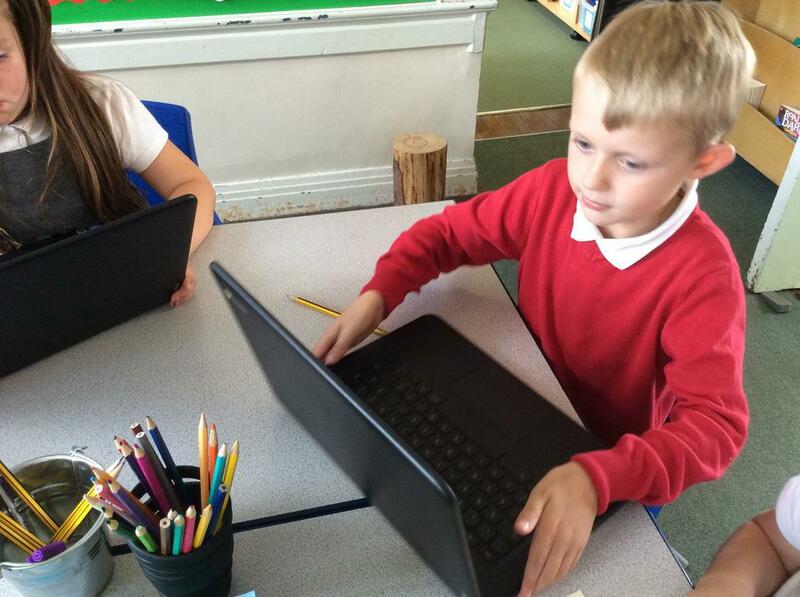 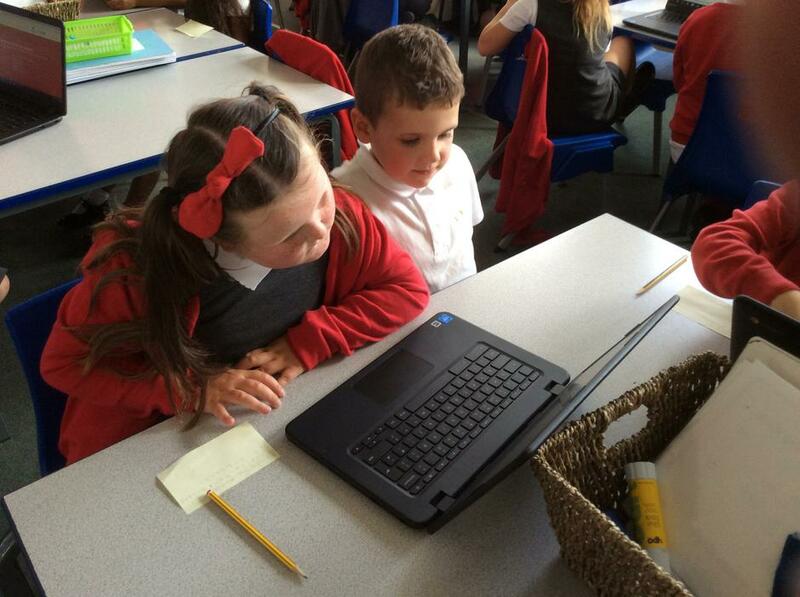 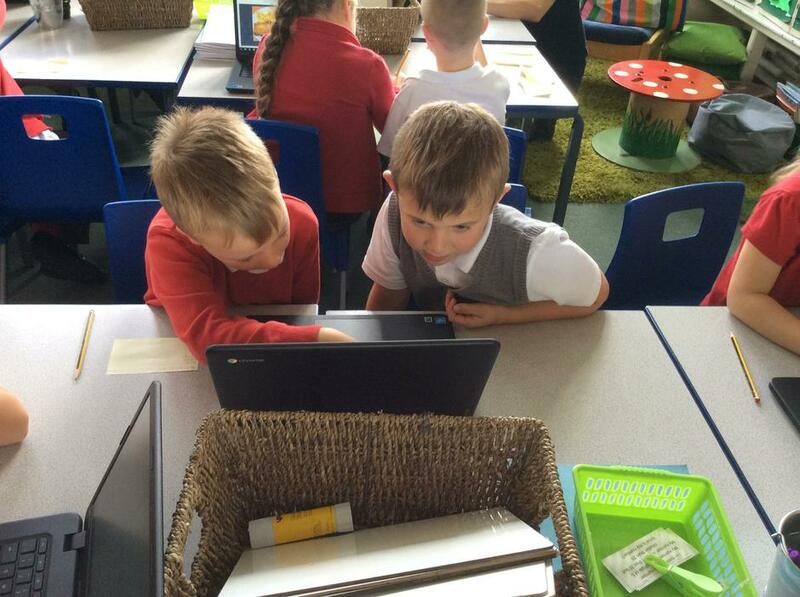 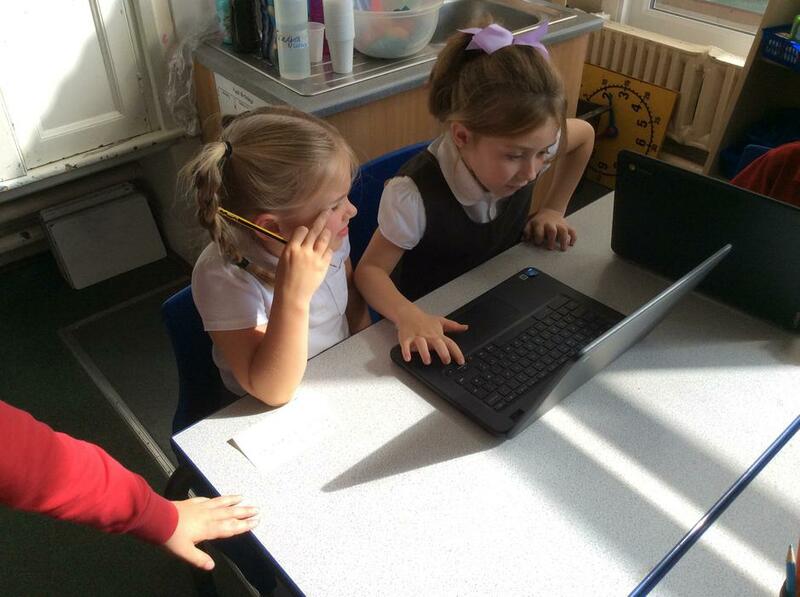 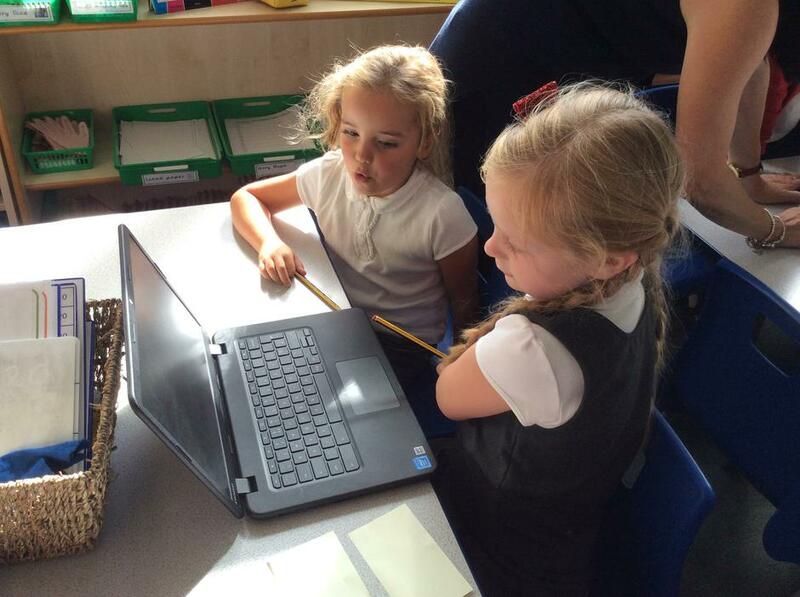 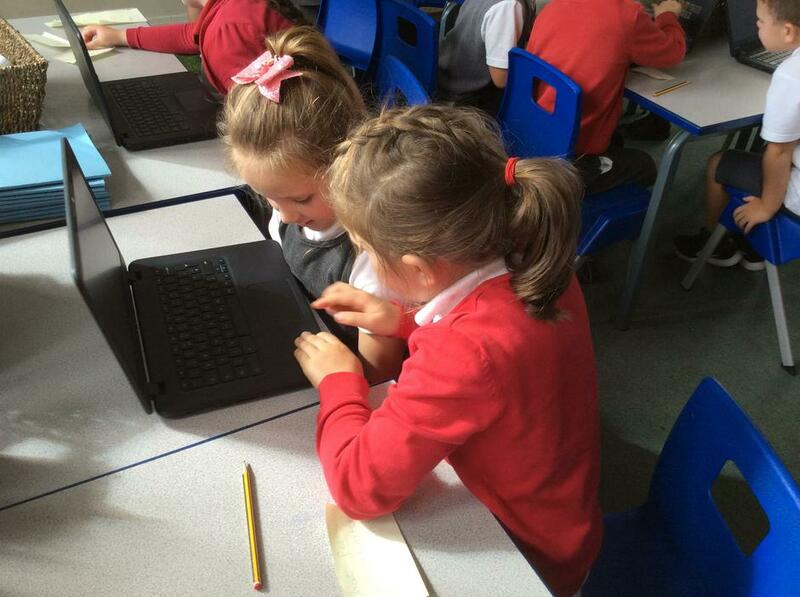 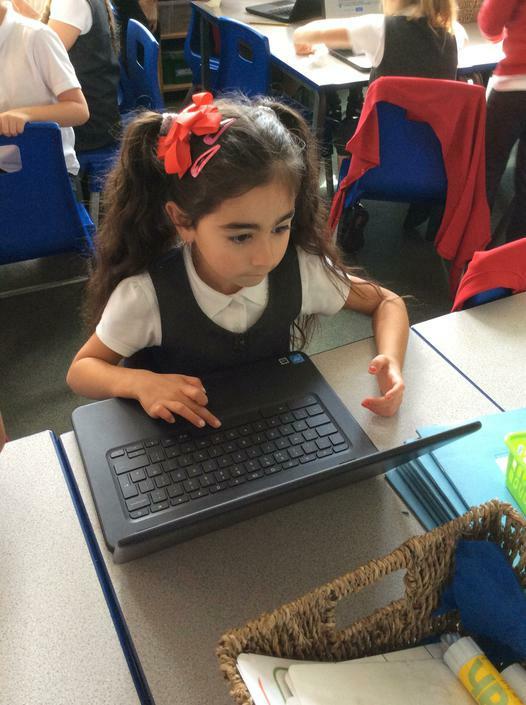 The children have focused on England this week and have researched this country using the Chrome books. 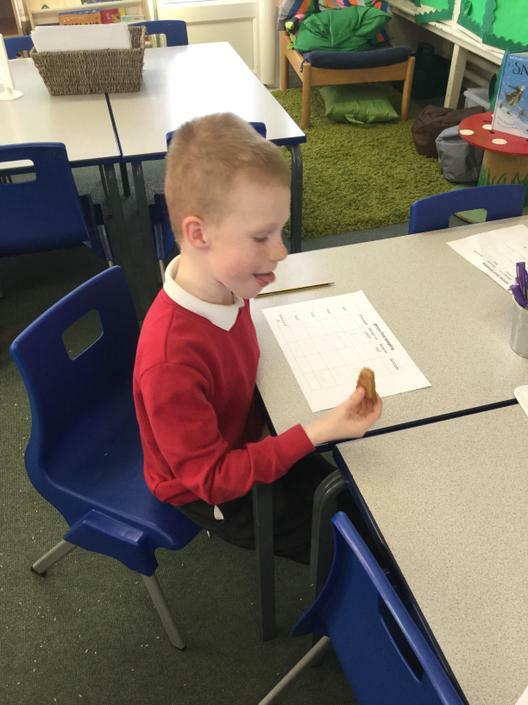 - Fish, chips and mushy peas, Angel Delight, and cupcakes are popular foods to eat in England! 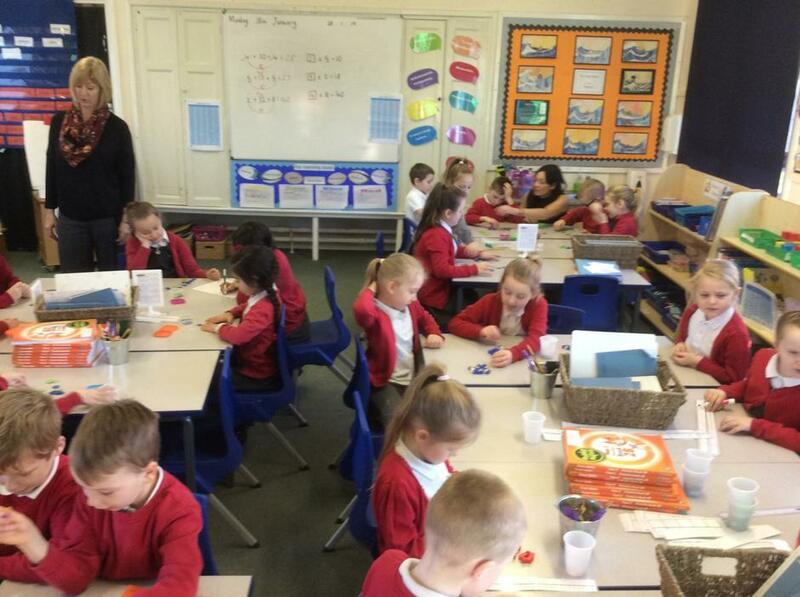 - Westminster Abbey, the Peak District, Stonehenge and Big Ben are good tourist attractions! 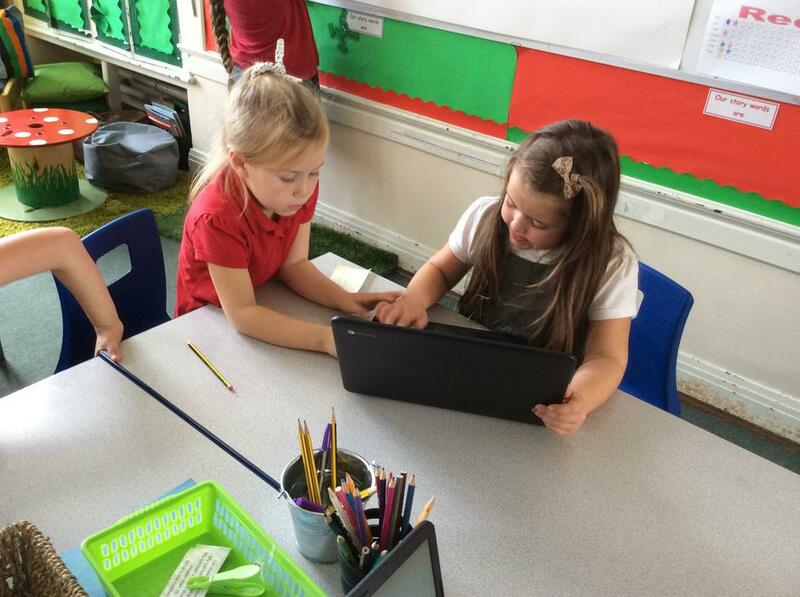 - Other major cities in England that you may like to visit are Manchester, London, Leeds, Liverpool and Sheffield. 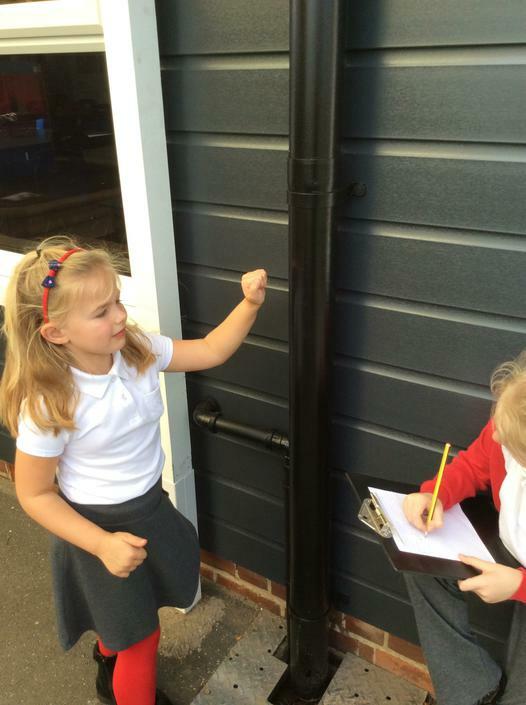 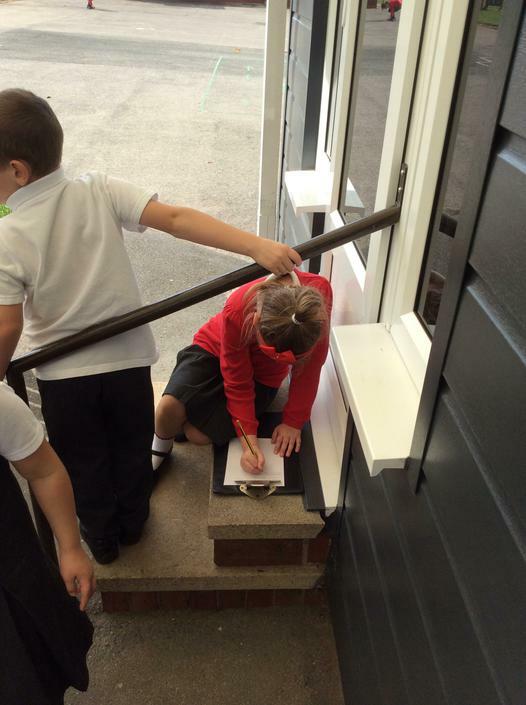 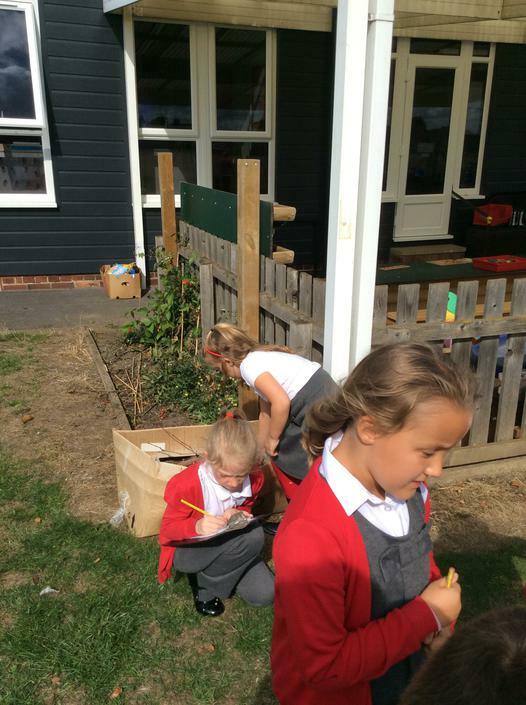 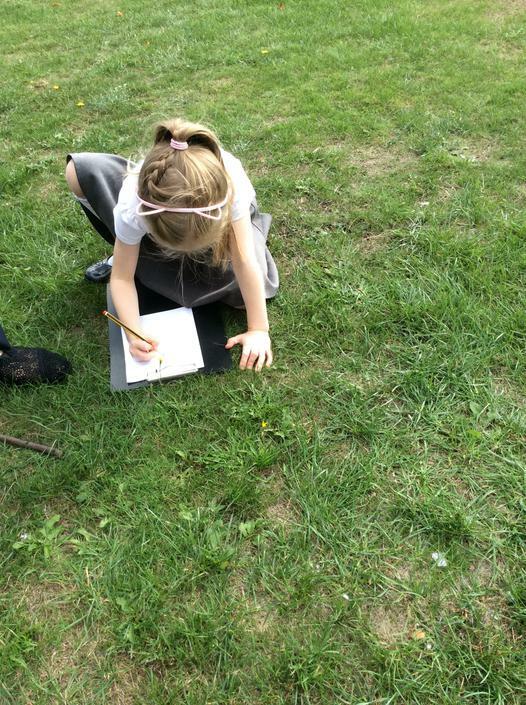 The children enjoyed going on a material hunt in the outdoor area. 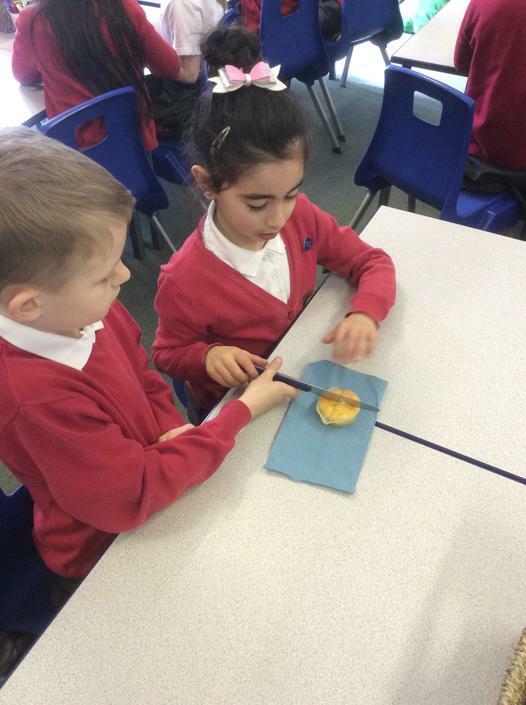 They investigated the different materials and their uses.